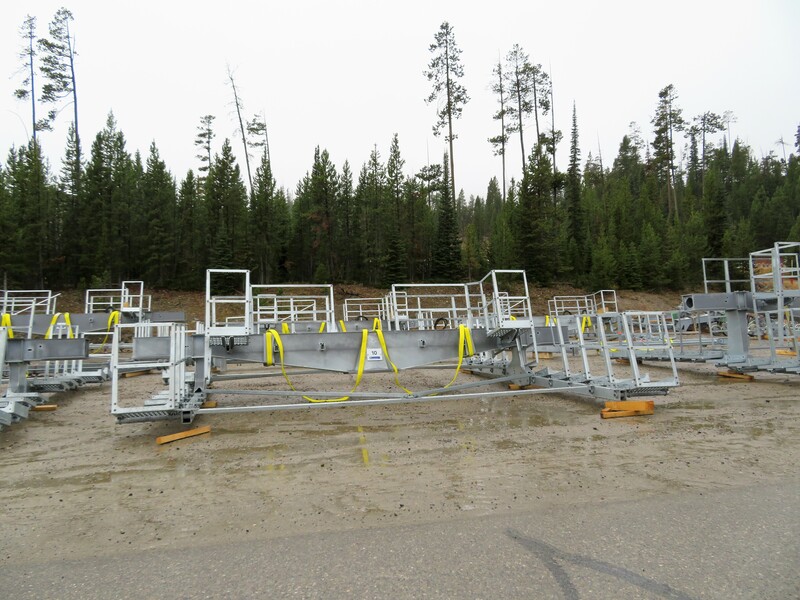 Winter Park’s Gondola becomes the third direct drive lift to open in as many weeks in the United States. As of October, there were zero! 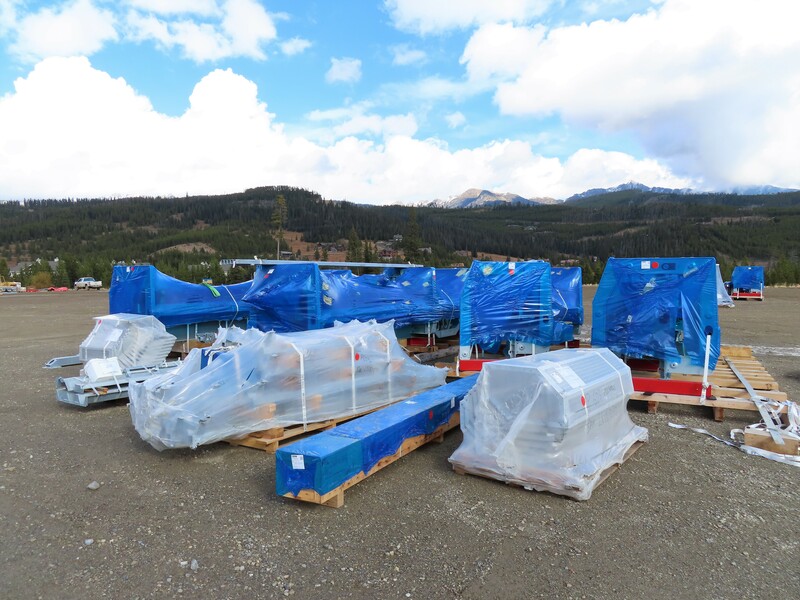 Pico is added to Ikon, bringing the pass to 40 mountains with a combined 474 lifts in the the US and Canada. The Hermitage Club won’t reopen until January at the earliest. 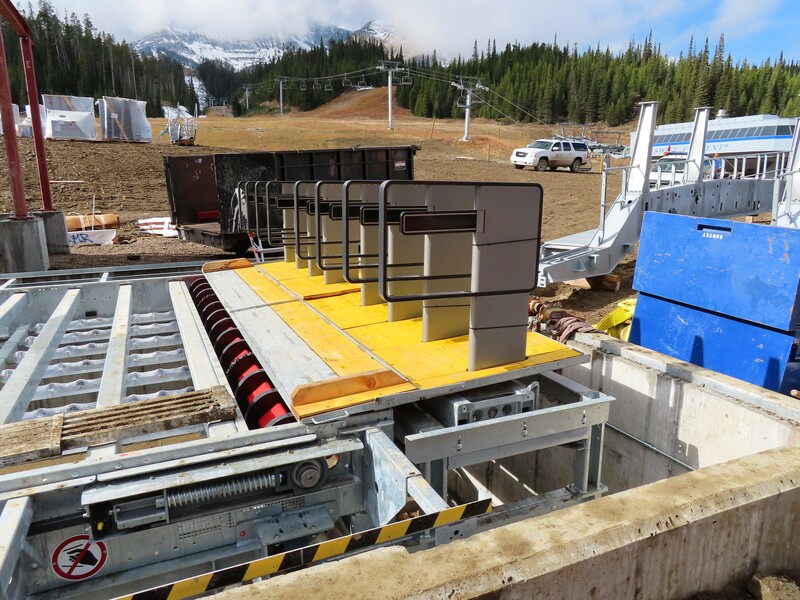 The last of British Columbia’s seven new lifts debuts at Sun Peaks. 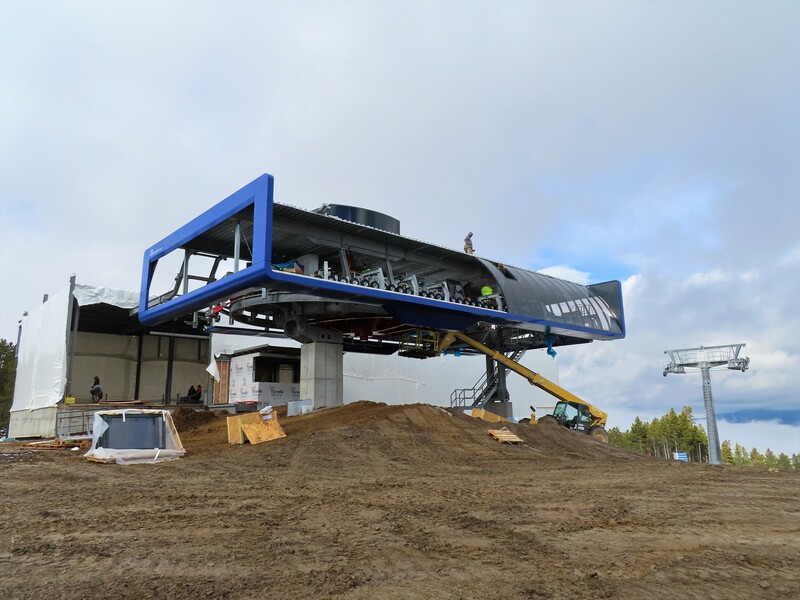 I did a double take on this lift: a D-Line gondola with Carvatech cabins. The new American Flyer is very close to becoming the world’s longest bubble chair. 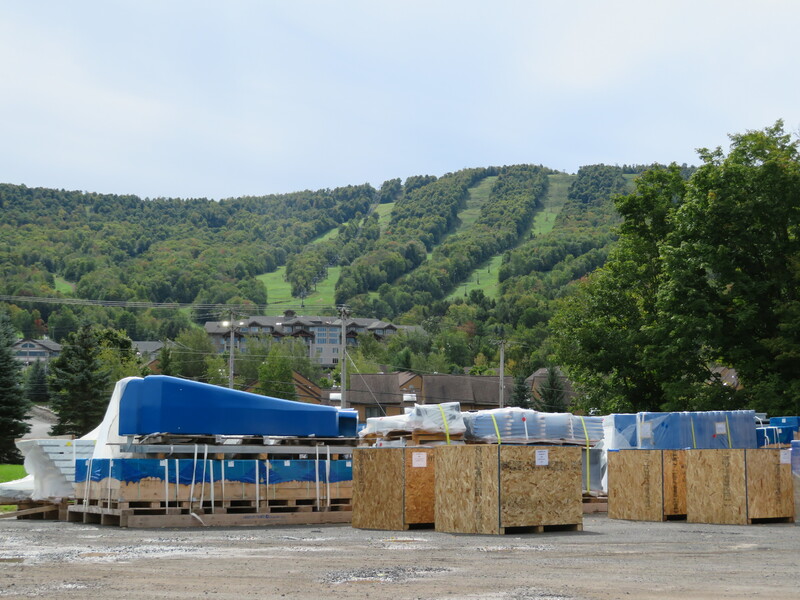 Stratton’s new high speed quad is now set to open early in the new year. 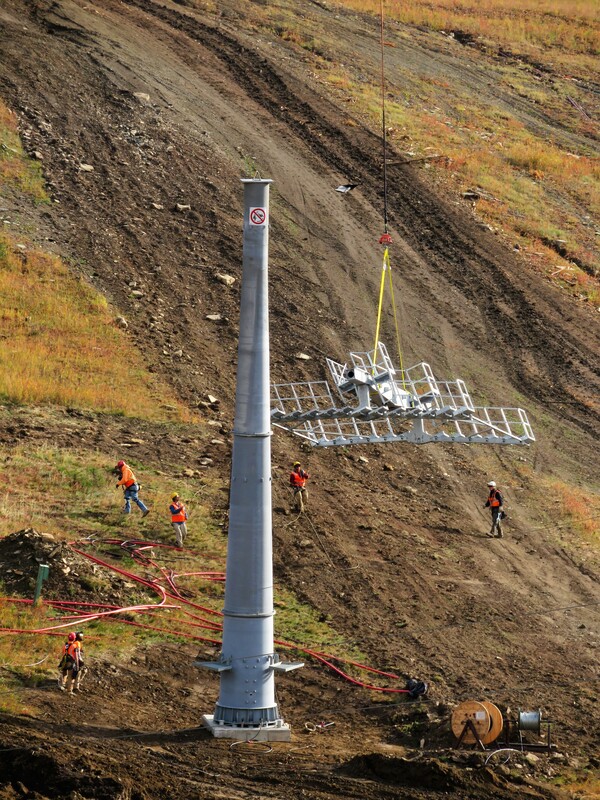 Skeetawk remains on track to become Alaska’s eleventh lift-served ski area next winter with a SkyTrans triple chair. 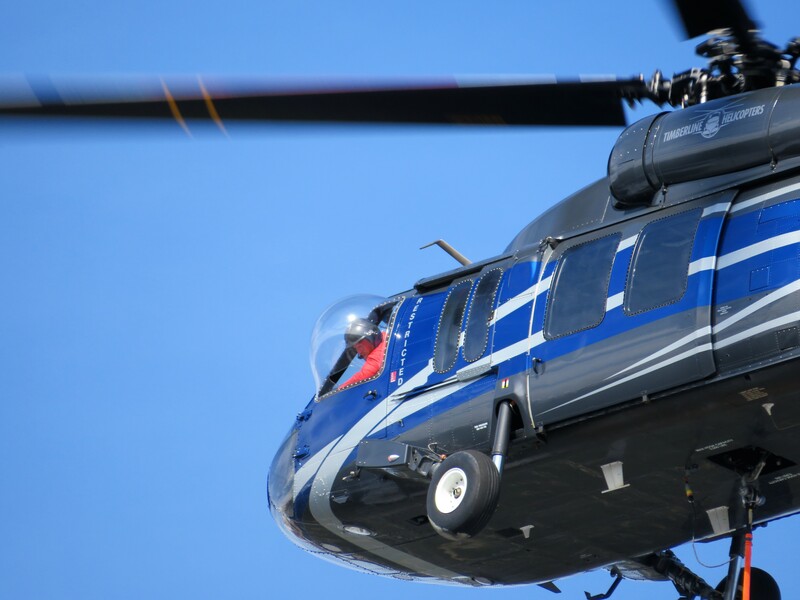 An 8 year-old boy sustains only minor injuries falling 33 feet off a lift at Nordic Valley. The Colombian capital of Bogotá launches a $73 million urban gondola called TransMiCable. 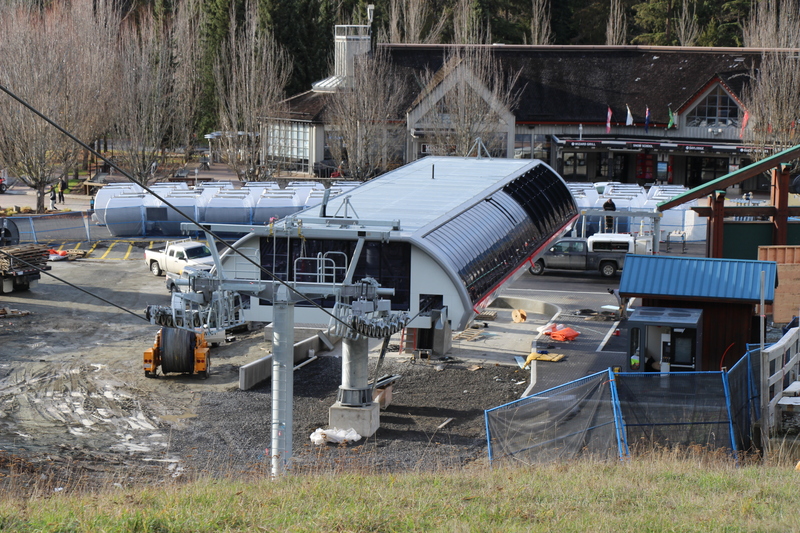 Frost Fire says it cannot open yet due to “contractual obligations with our chairlift,” a brand new Skytrac quad. 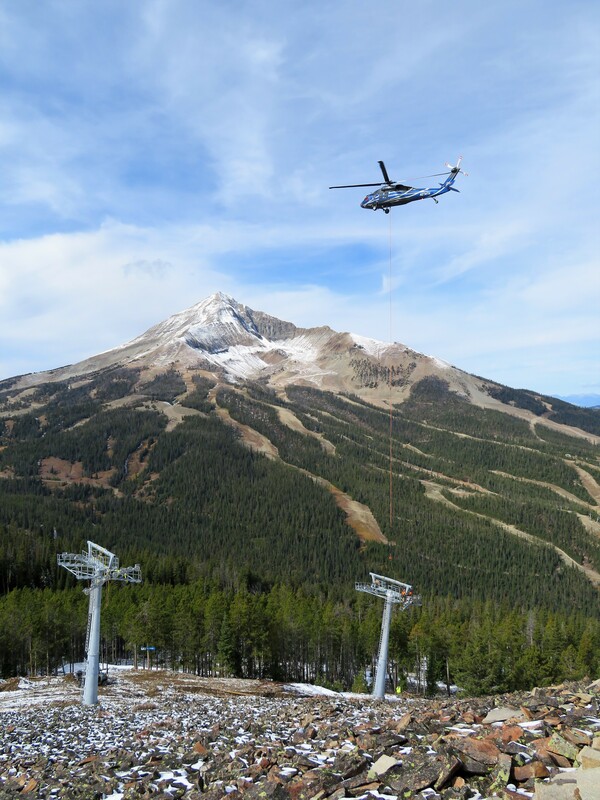 Big Sky brings high speed access to the southern flank of Lone Peak with Shedhorn 4. 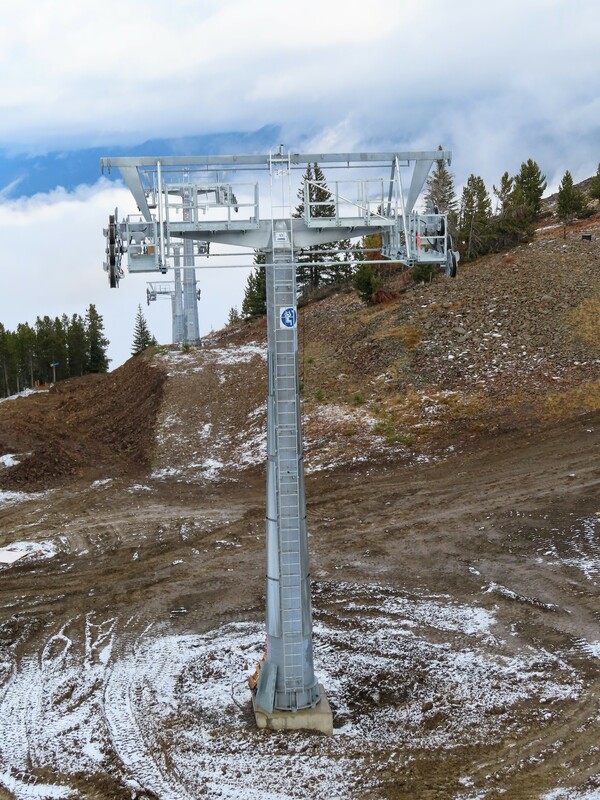 Forty five years to the day since Chet Huntley welcomed the first skiers to Big Sky Resort, Boyne Resorts today debuted North America’s most technologically-advanced chairlift on Andesite Mountain. The eight pack is a bold but logical move for Michigan-based Boyne, which once pioneered the world’s first triple and quad chairlifts. 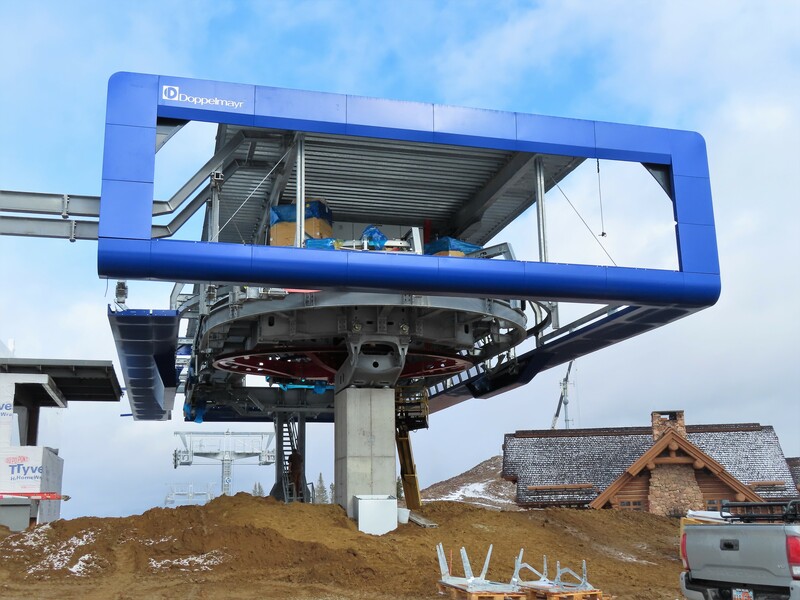 Not only is Ramcharger 8 the first of its kind in North America, it’s also the first Doppelmayr D-Line eight place chairlift in the world. Boyne Resorts President Stephen Kircher and son Everett prepare to cut the ribbon. 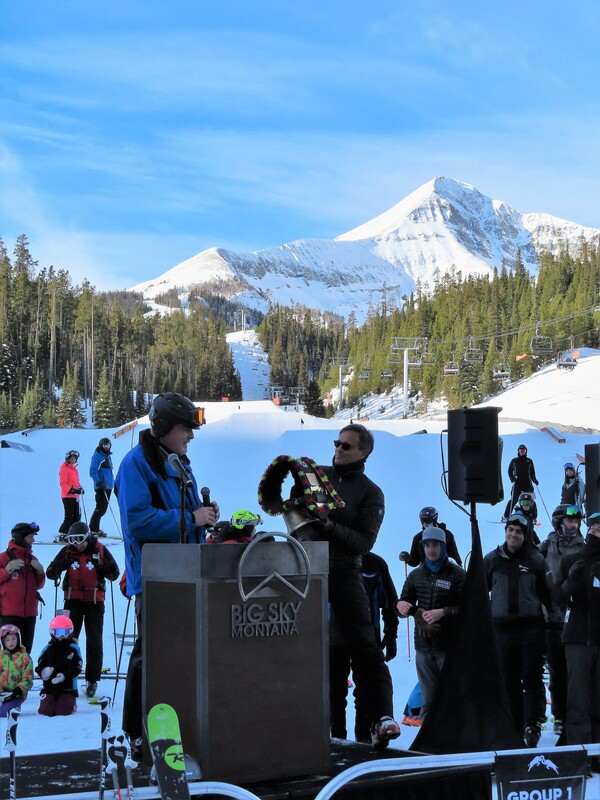 Mark Bee, President of Doppelmayr USA, presented the Big Sky Resort team with a customary bell from Austria to celebrate. He also thanked the construction team, led by Jamie Kanzler, for a successful project delivered on schedule. “Without Jamie and his team, we wouldn’t be here today,” said Bee, noting the contract for this ambitious project was signed on March 5th. “Ramcharger 8 is the culmination of everything we have learned so far, and incorporates many firsts for the North American market; first eight-passenger chairlift, first direct drive motor, first locking restraint bar, first height-adjustable loading carpet, first high resolution video display, and the first of our newest generation detachable lifts,” he continued. Plans for a 3S gondola servicing Dodger Stadium in Los Angeles move ahead. 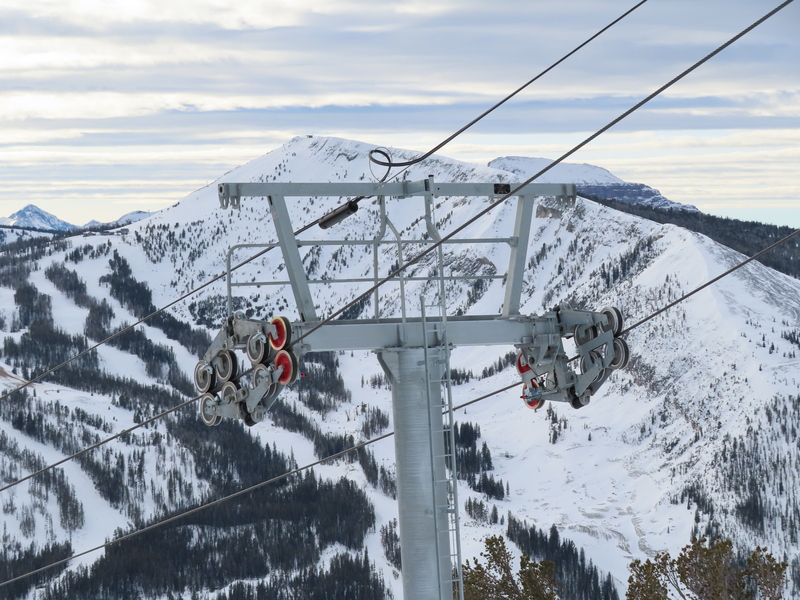 A new gondola system ridership record is set: 406,459 passengers in a single day. 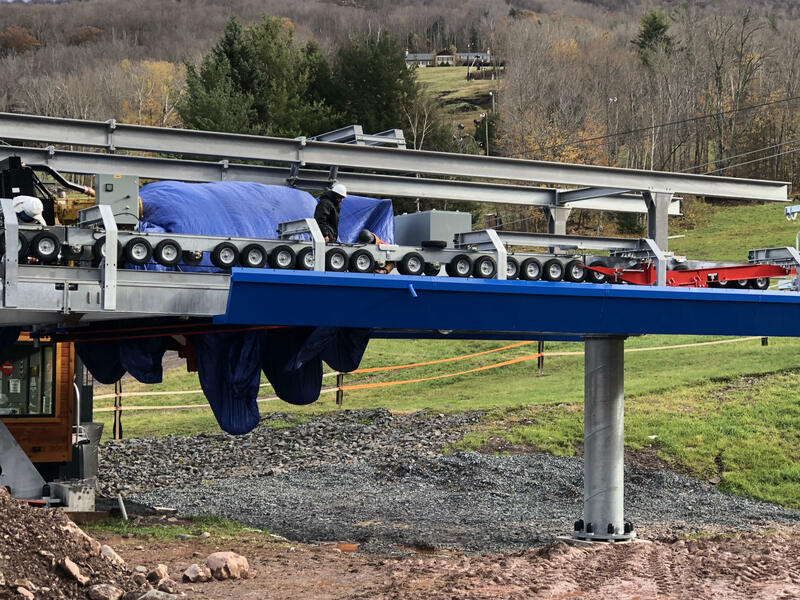 Killington joins the bubble club with Snowdon Six Express. 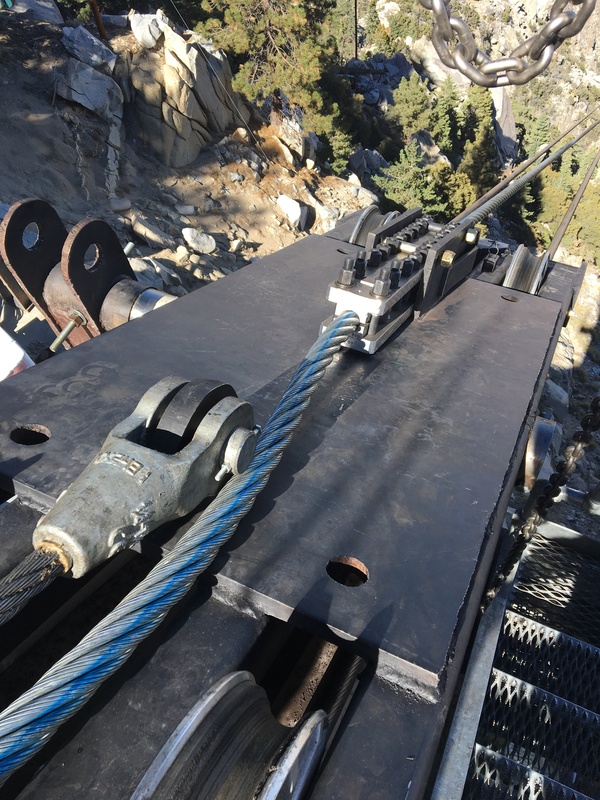 Fatzer says it has donated more than 180 miles of wire rope leftover from ropeways to build 600 bridges in developing countries. Ramcharger 8 flies tomorrow at Big Sky Resort. 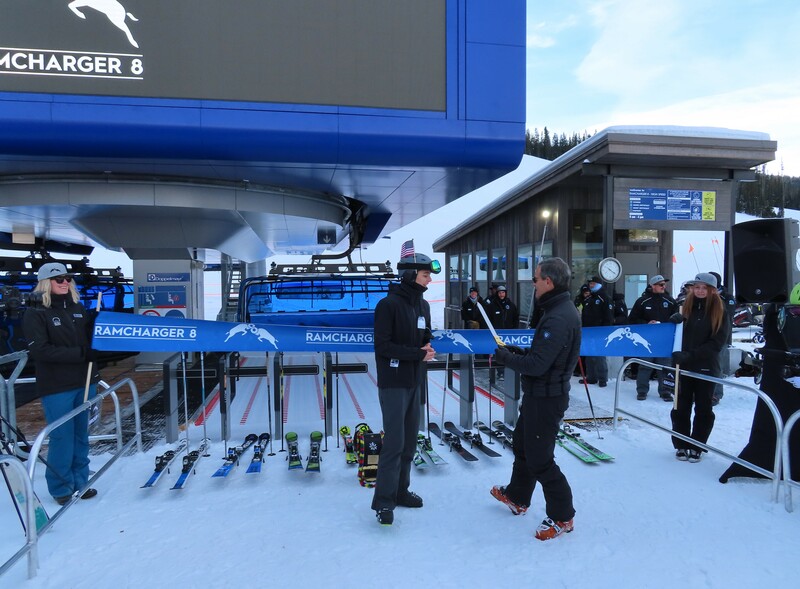 Accidents knock two gondolas out of commission at the same Austrian ski resort in the span of a week. One due to a fire and the other a pileup of cabins. The latter one is already back in service. 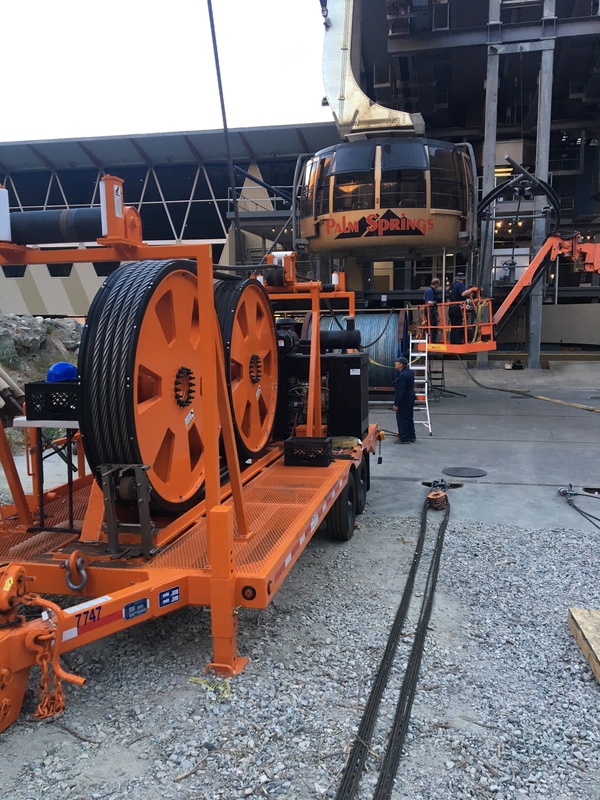 Doppelmayr USA taps former New York State Olympic Regional Development Authority head Ted Blazer to lead the company’s urban ropeway push. 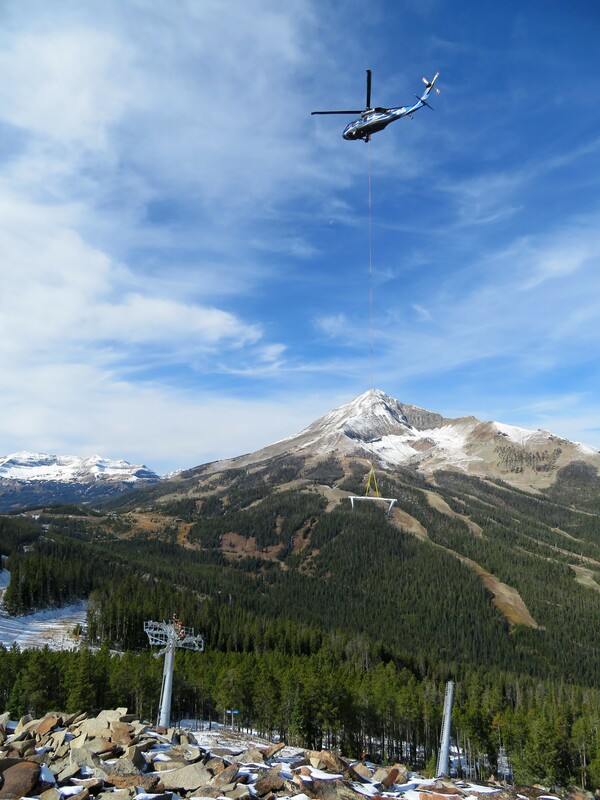 Copper Mountain hopes to have the new American Flyer bubble lift operational by Christmas. There might be some news regarding the shuttered Hermitage Club early next week. Big White’s Powder 2.0 opens today. 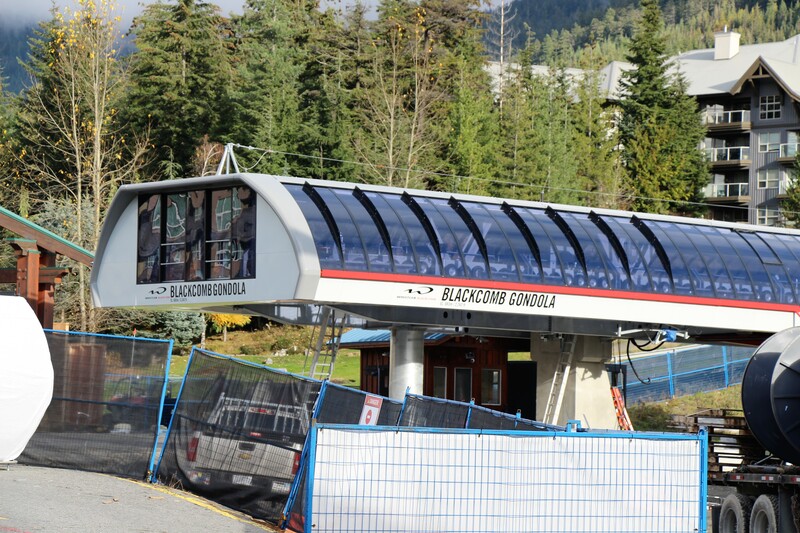 So does the big Blackcomb Gondola. More than 150 guests are evacuated from the Blue chairlift at Mt. Hood Meadows after multiple systems fail. Peak Resorts releases quarterly financial results including strong season pass sales figures. Timerline Four Seasons Resort keeps pushing back its opening day, now scheduled for December 21st. Yesterday its managing partner was arrested and charged with failing to remit hotel taxes. Work carriers are spotted traversing Walt Disney World. The world’s largest vertical tramway is expected to reopen in time for Christmas, just three months after one of its cabins was destroyed in an unfortunate accident. 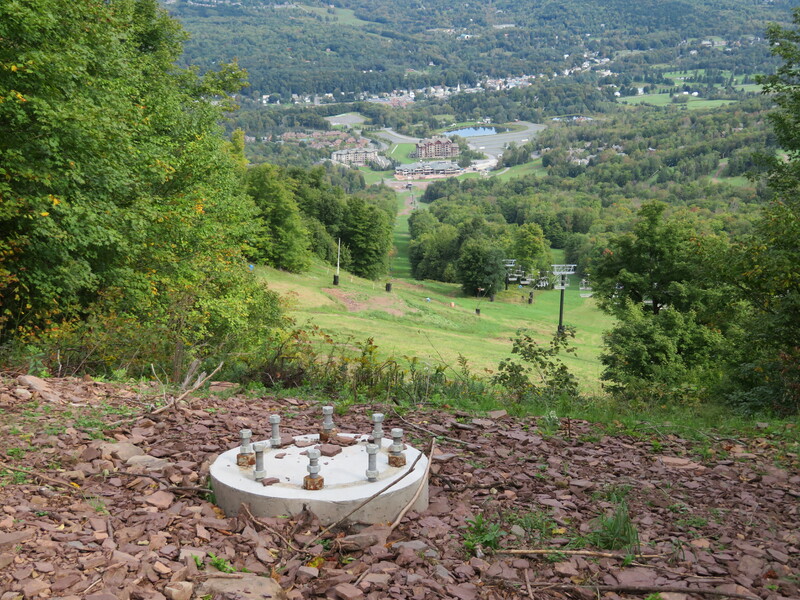 Peak Resorts completes its acquisition of Liberty Mountain, Roundtop and Whitetail in Pennsylvania. 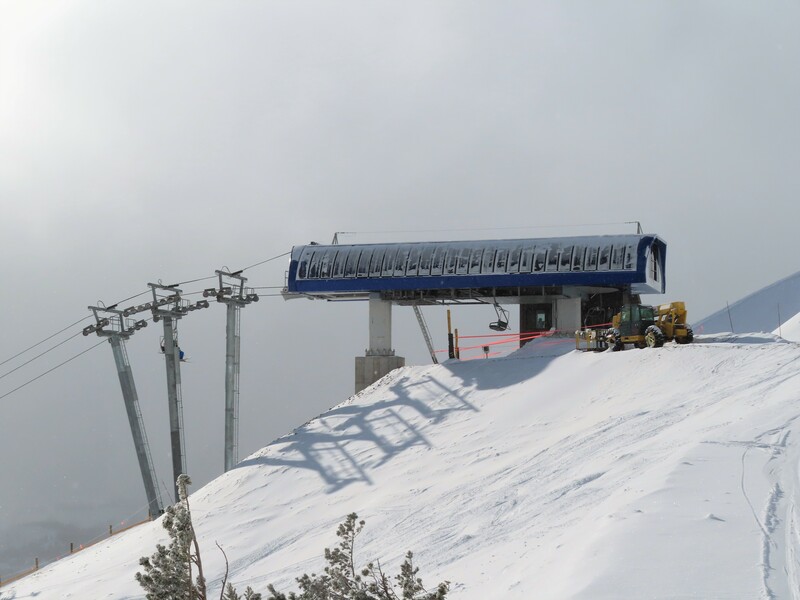 There was a bit of a setback before American Eagle’s load test on Monday but repairs are complete and the first of two new lifts at Copper opens Saturday. A pulse gondola could join the skyline in Jim Thorpe, Pennsylvania. Investors who helped the Hermitage Club buy its bubble lift file a lawsuit seeking $9.8 million. Did you know the Lone Peak Tram‘s bottom terminal is slowly moving downhill thanks to a rock glacier? 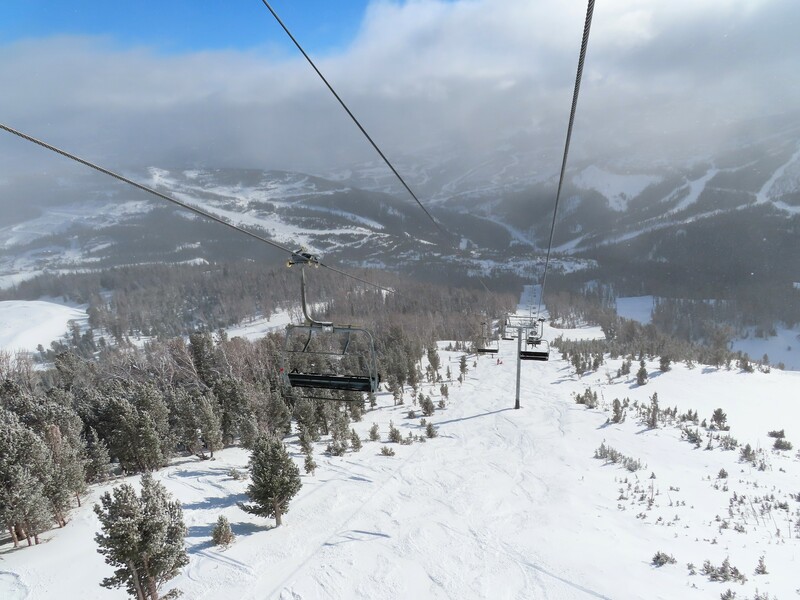 The White River National Forest grants final approval for Beaver Creek’s McCoy Park expansion and preliminary approval of Aspen Mountain’s Pandora project. Plans for a new Oakland Athletics ballpark include a 6,000 passenger per hour gondola across Interstate 880. A proposed Portland Major League Baseball stadium also has a gondola component. 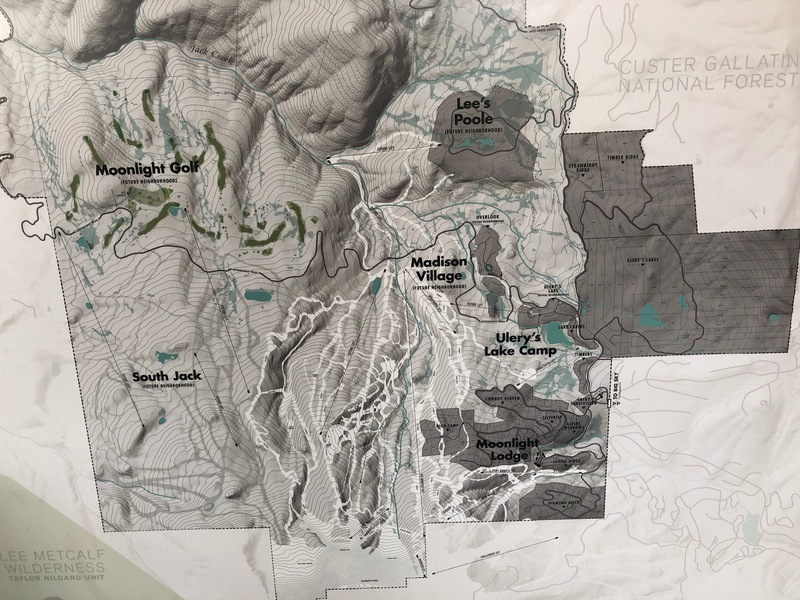 As Utah weighs growth, Alta seeks to retain some of the land it owns in Grizzly Gulch, key to any future connection between the Cottonwood Canyons. 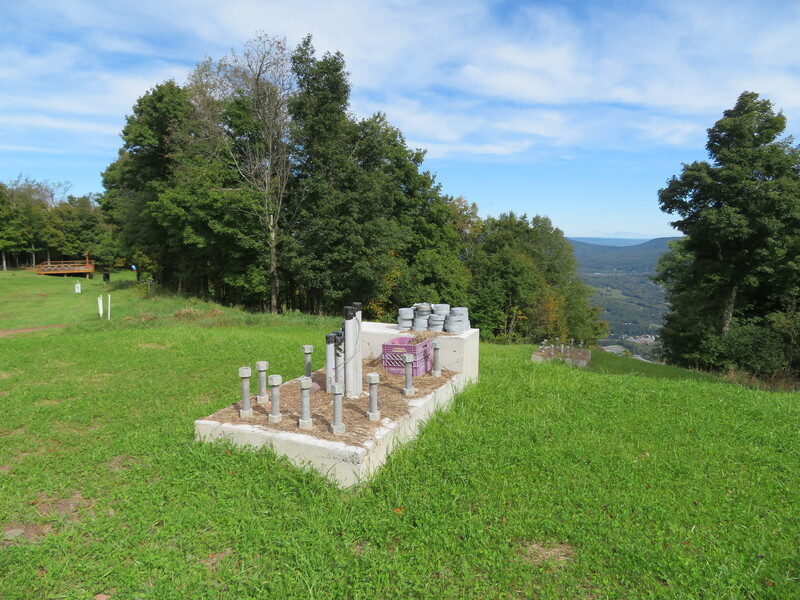 Heavy snow delays completion of Ascutney Mountain’s T-Bar until next spring. 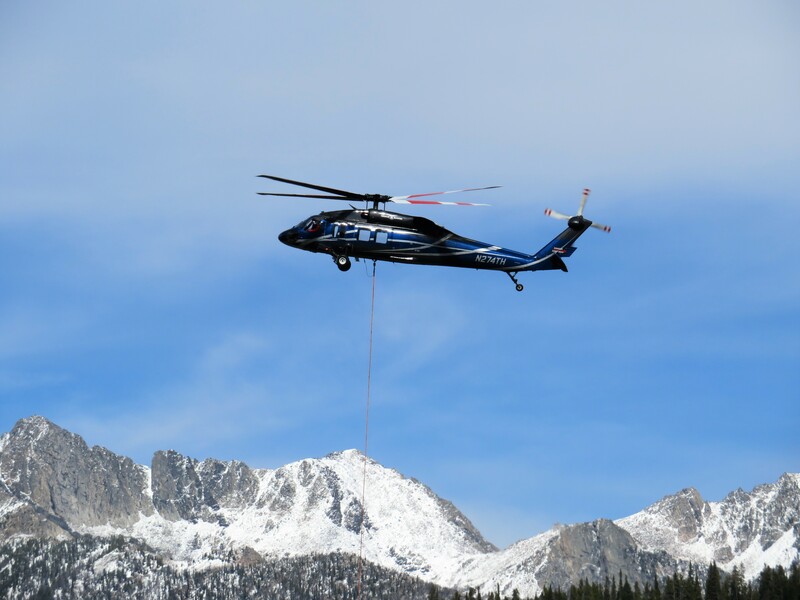 Arapahoe Basin drops the ropes on 339 new lift-served acres. 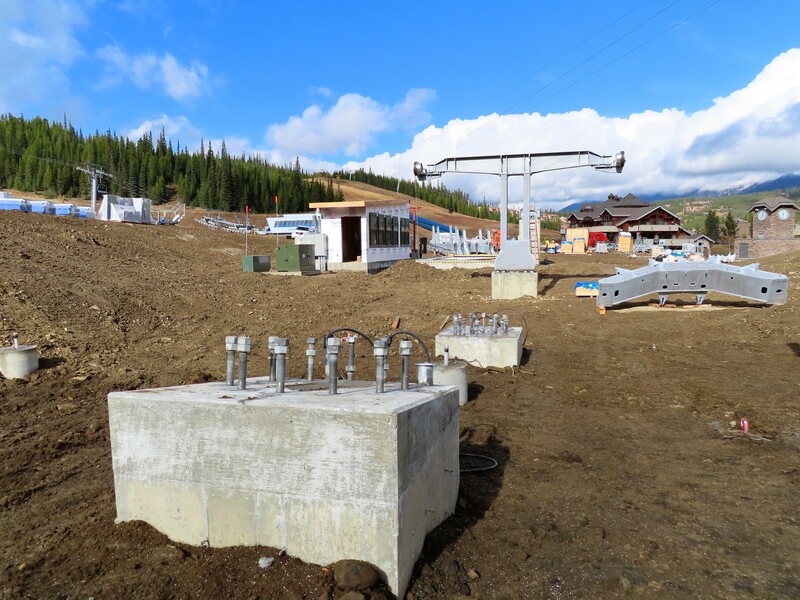 The Forest Service tentatively approves Vail’s Golden Peak T-Bar project. US Representative from New York Patrick Maloney dreams up a gondola across the Hudson. 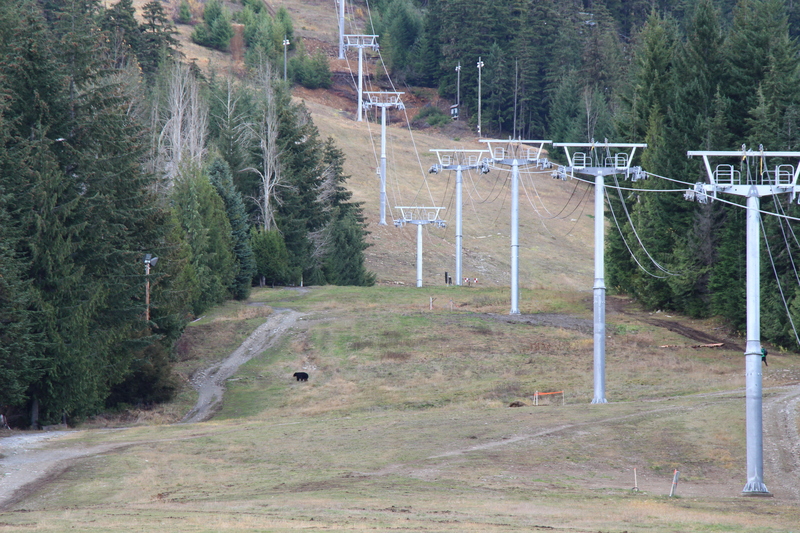 Red Mountain seeks approval to build the Topping Creek lift. Apple Mountain, Michigan is no longer a ski area. The first rope evac of the season goes to Super Bee at Copper. 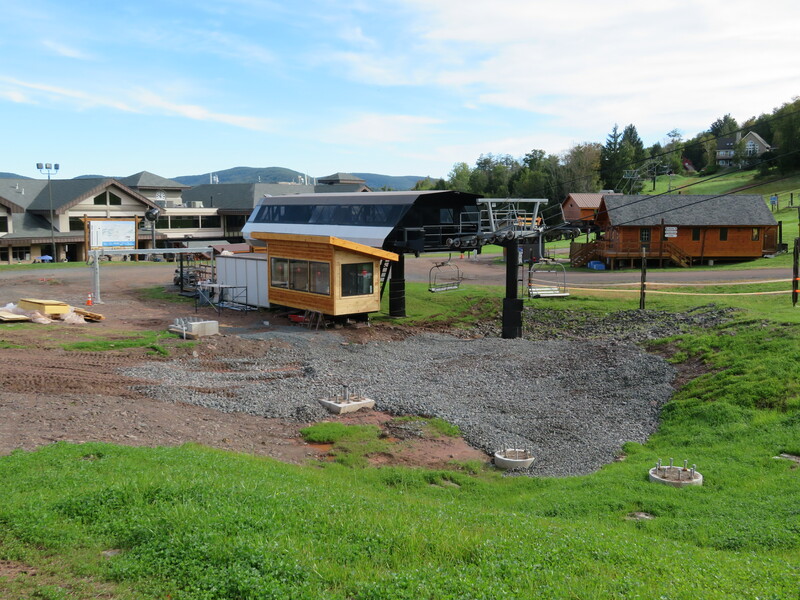 Gore Mountain solicits bids to replace Sunway and High Peaks with fixed grip quads. That brings the Olympic Regional Development Authority to five potential lift projects for 2019! 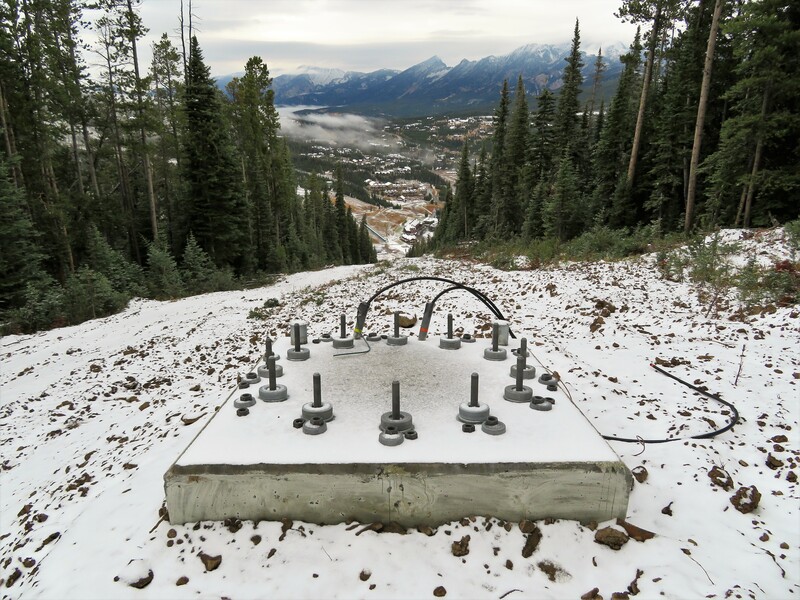 The Aspen City Council considers Aspen Mountain’s Telemix project again. 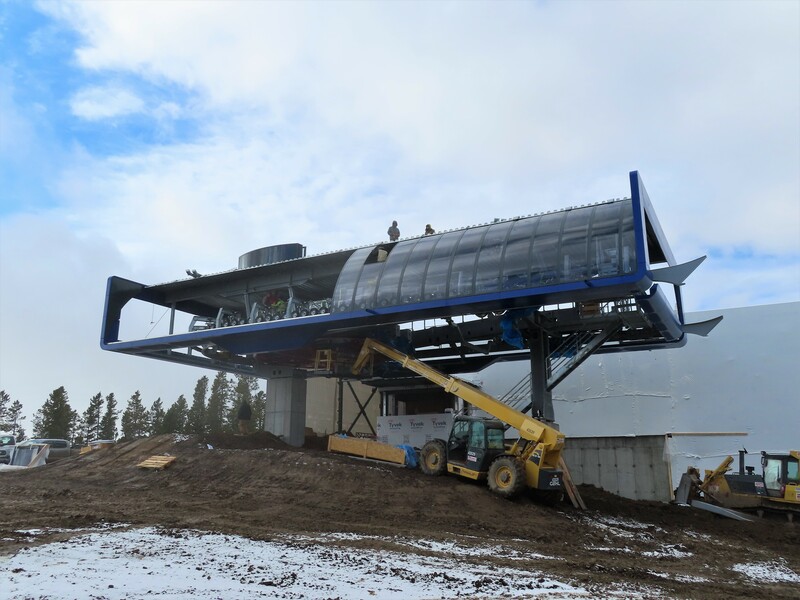 The Jackson Town Council rejects Snow King Mountain’s proposed gondola alignment. 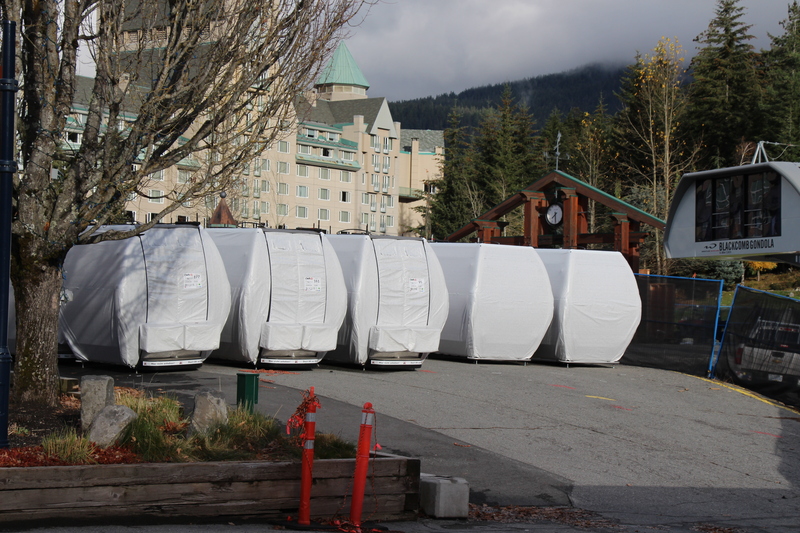 Doppelmayr apologizes for a delay completing the new Blackcomb Gondola. 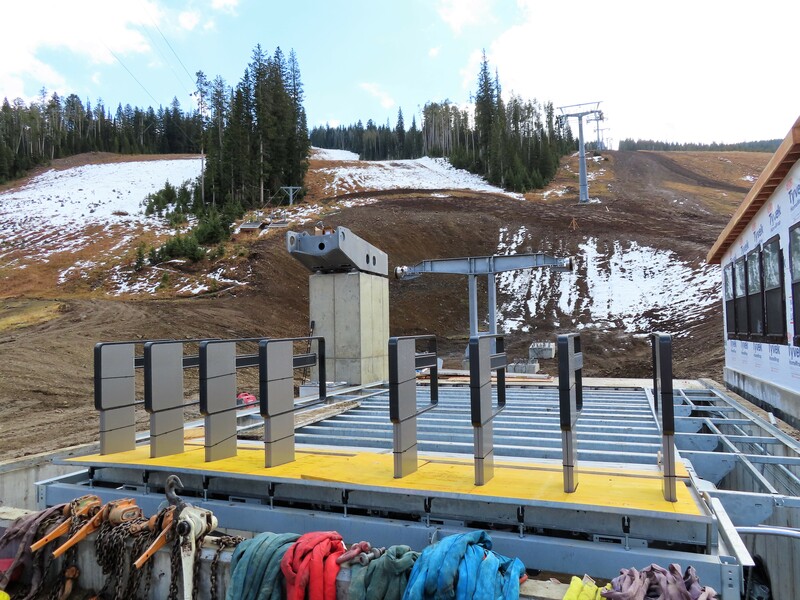 The new Catskinner and Emerald Express lifts open Thursday and the gondola will be finished by December 14th. Calgary voters say no to hosting the 2026 Olympic Winter Games. The world’s largest urban gondola network now transports 250,000 passengers every weekday with the most popular line doing a million passengers every 19 days. Alterra’s Ikon Pass now includes three resorts in New Zealand; Vail adds Les 3 Vallées, France and Skirama Dolomiti in Italy to the Epic Pass. 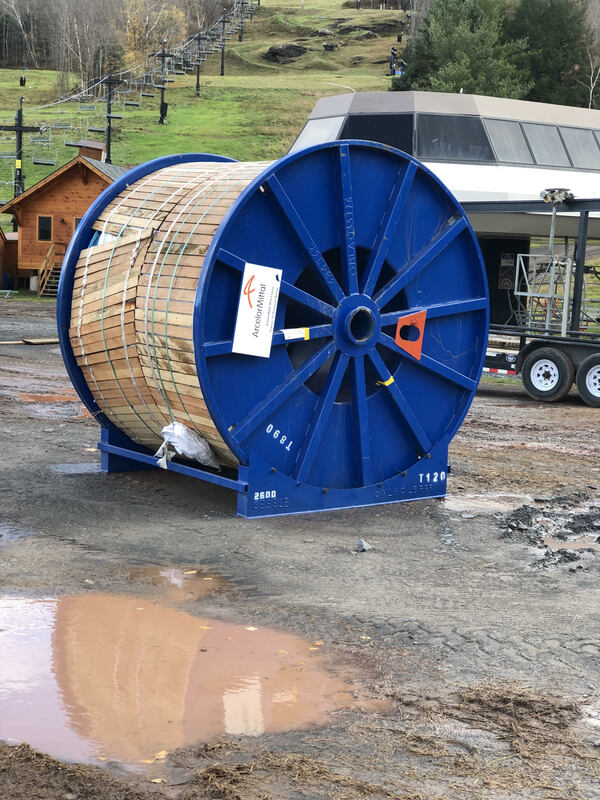 Following a lift failure and other struggles, the owners of Timberline, West Virginia seek to recapitalize and restructure the business. Remember Gudauri, the Georgian ski resort which made global headlines last winter? It’s fixing the quad that rolled back and adding six more lifts. 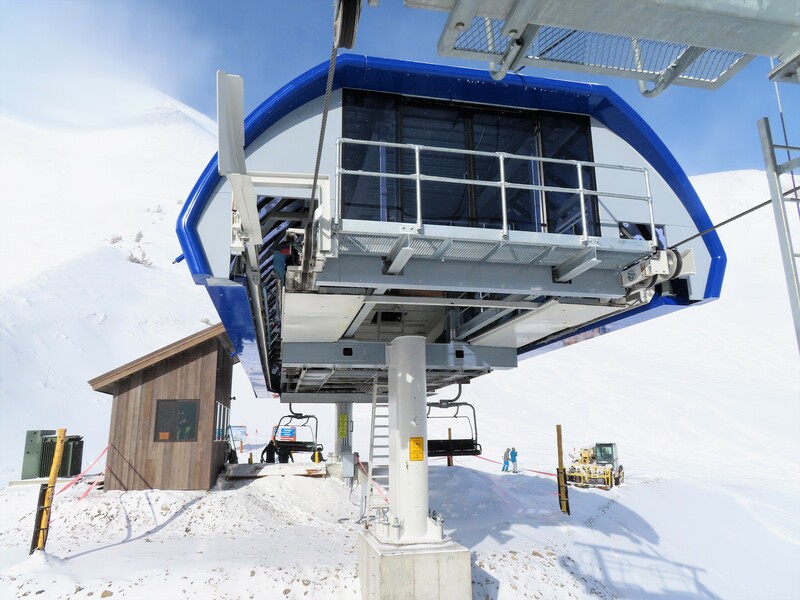 The Hermitage Club receiver will retain a single lift mechanic to maintain five chairlifts in mothballed status over the winter. 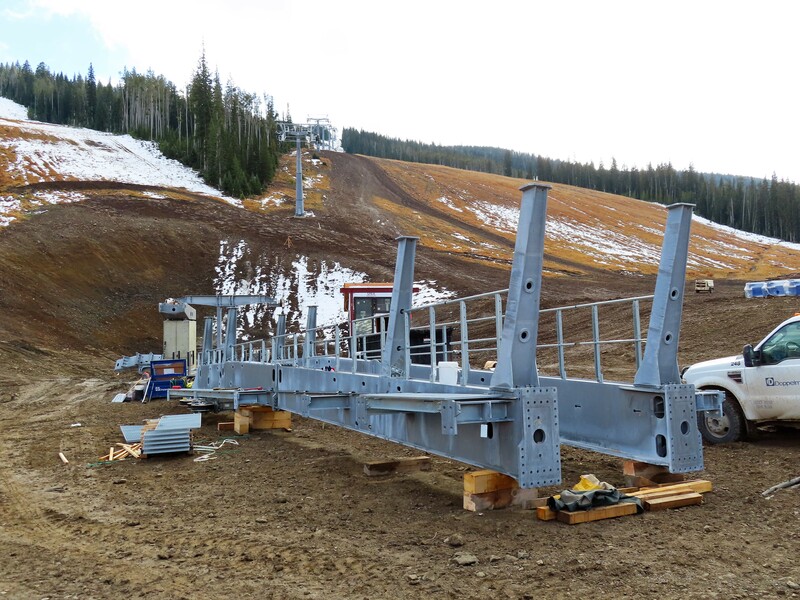 The longest Skytrac to date is ready for winter in Washington State. 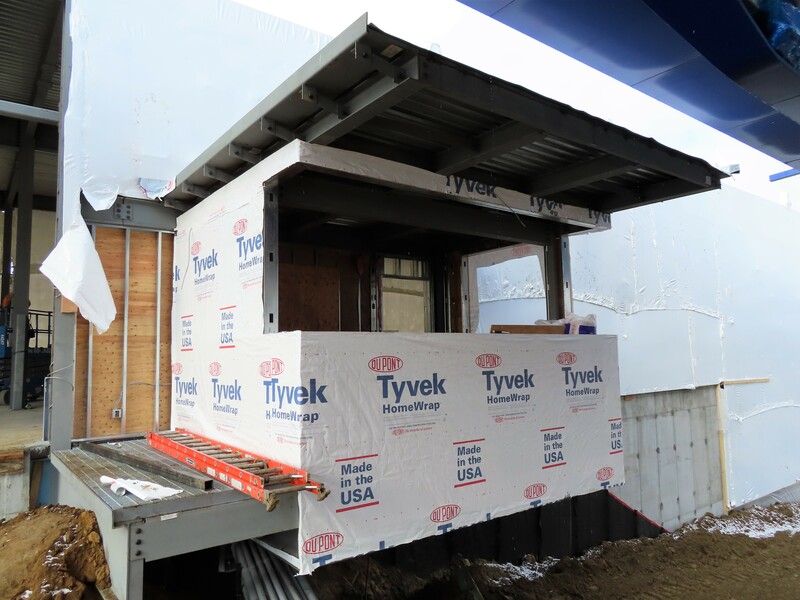 Killington puts new Sigma cabins on the K-1 Gondola a few at a time. 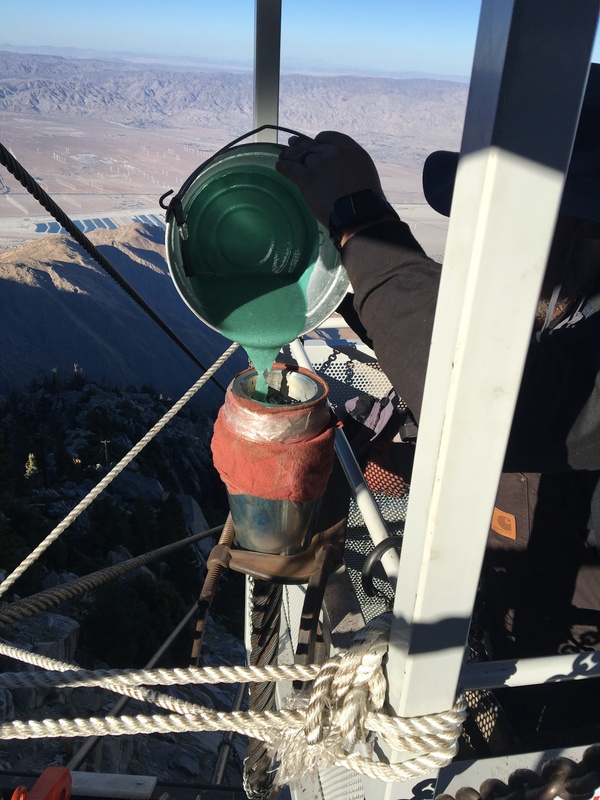 The Ramcharger 8 haul rope is spliced and chairs are in place at the summit of Andesite Mountain. Ski Blandford is officially back in business minus one chairlift. Searchmont, Ontario sells to Wisconsin Resorts, the firm behind Pine Knob, Mt. Holly and Ski Bittersweet in Michigan as well as Alpine Valley, Wisconsin. 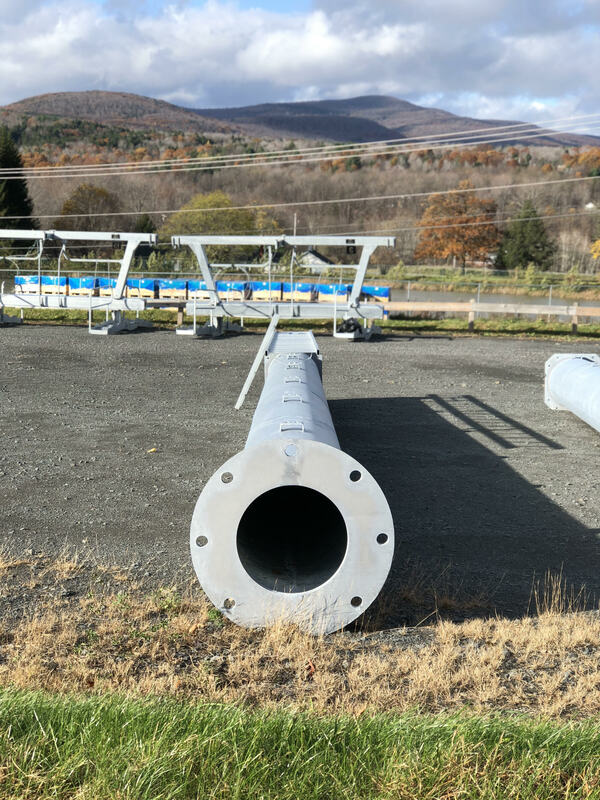 Mike Solimano of Killington reveals what three lifts he would upgrade if given $100 million to spend at The Beast. 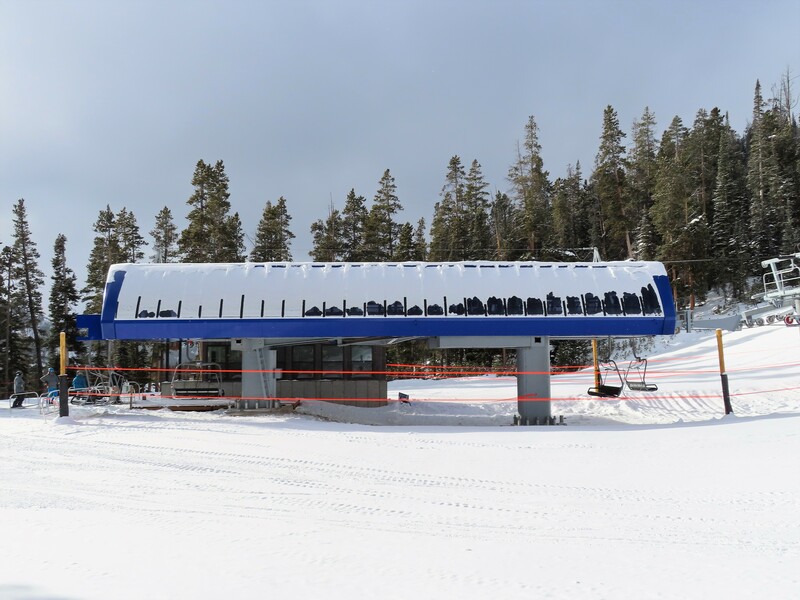 The new Winter Park gondola is creatively named Gondola. Grand Junction’s NBC affiliate takes viewers inside the factory where Leitner-Poma lifts are created. 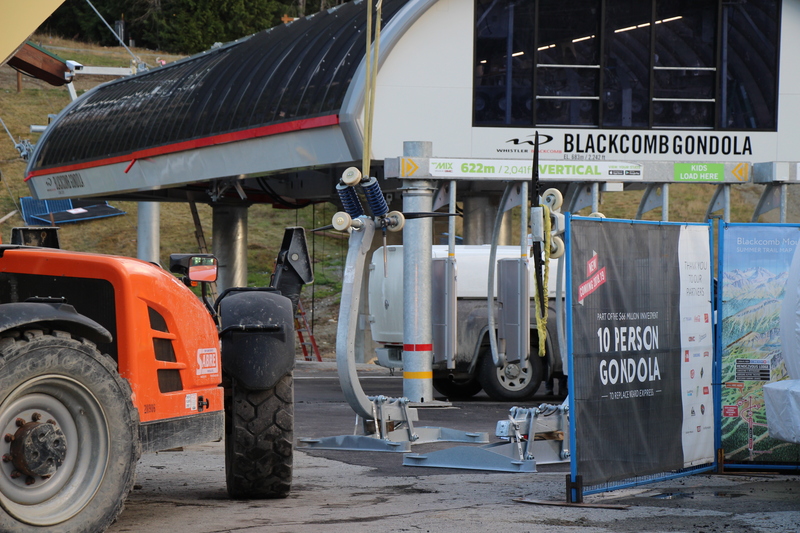 The two stage Blackcomb Gondola is almost finished; thanks Max for these pictures. 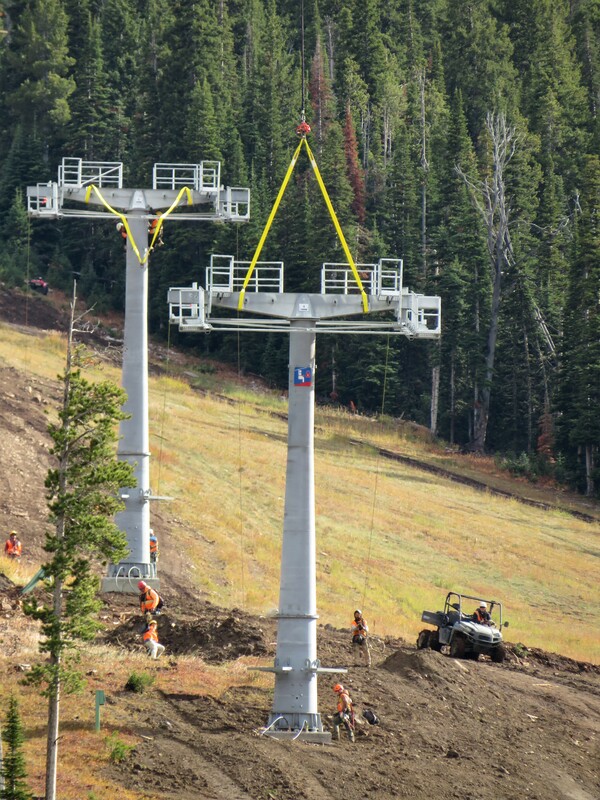 Next up for Ramcharger 8 at Big Sky: installation of an in-terminal video wall and the haul rope, which is going up right now. Beech Mountain commissions its twin fixed grip quads. Freeskier looks at Alterra’s whirlwind growth and future trajectory. Rope pulling commences tonight at Walt Disney World, 24 years to the day since the Disneyland Skyway cable was taken down for good. This week’s new trail map comes from Hunter Mountain. 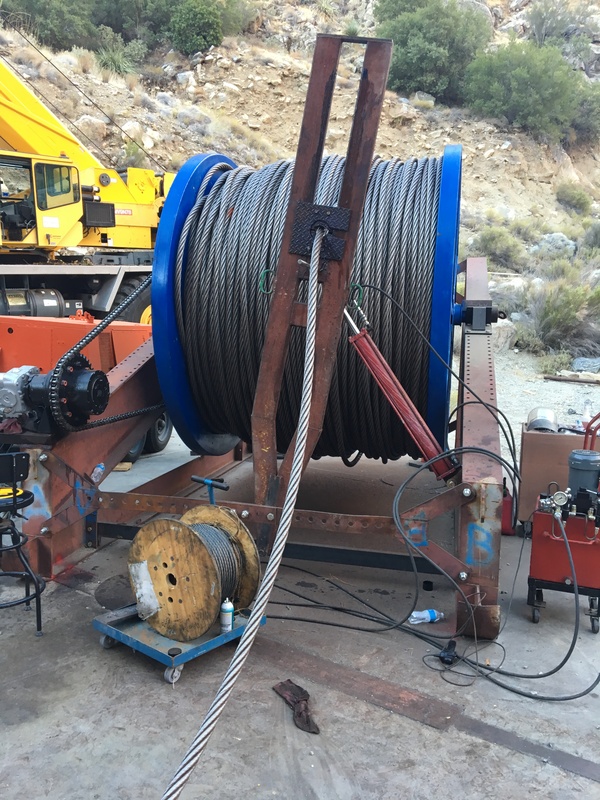 In an act of sabotage, someone cuts into three haul ropes at a Pyrenees ski resort. 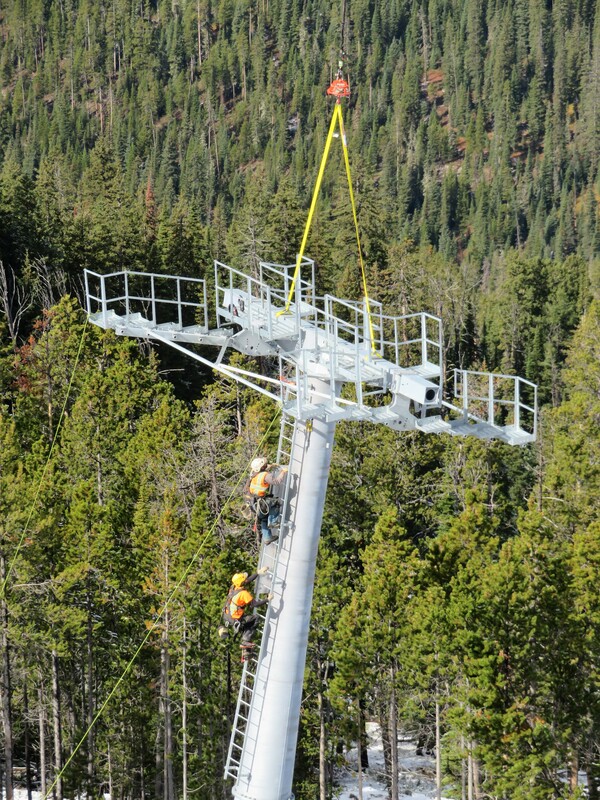 Construction of Montana Snowbowl’s TV Mountain lift may stretch into a fourth construction season. 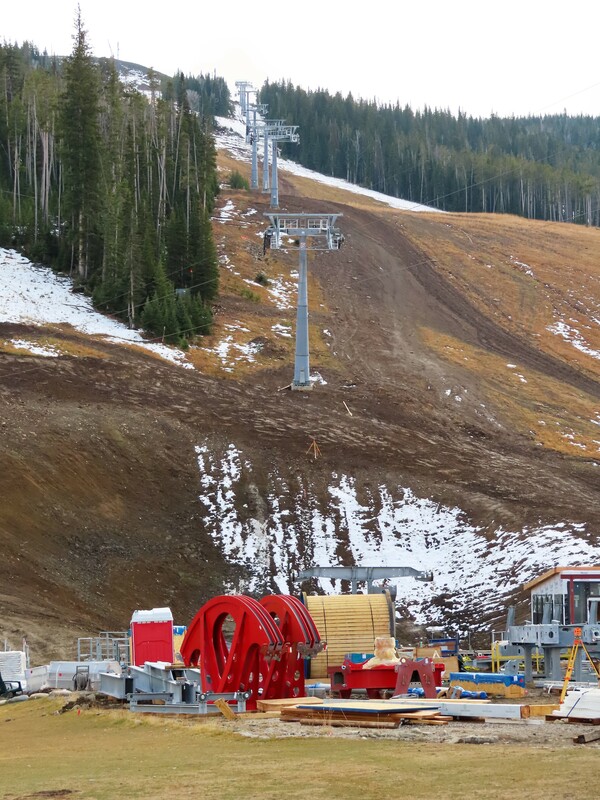 Sun Peaks wins my vote for the best new lift color scheme of 2018. SnowBrains shines a light on the lift maintenance profession. Mountain Creek looks to exit bankruptcy with SNOW Operating as a controlling partner. Westside Six comes together at Windham Mountain. As Vail Resorts shakes up management in the northeast, outgoing Mt. Sunapee GM Jay Gamble reflects on 20 years of growth including four new lifts and 110,000 annual skier visits. Vail also says goodbye to Sunapee’s Duckling double after 55 years. The owner of Mt. Washington, British Columbia; Ragged Mountain, New Hampshire; Wisp, Maryland and Wintergreen, Virginia takes over operations at Powderhorn, Colorado. Propelled by five major projects in Colorado, Leitner-Poma says 2018 is it biggest year ever in the United States. The $2 billion Salesforce Transit Center in San Francisco, which features a short aerial tramway, is mired in problems unrelated to the lift. Construction begins in Switzerland for the world’s second longest 3S with the most towers – seven. 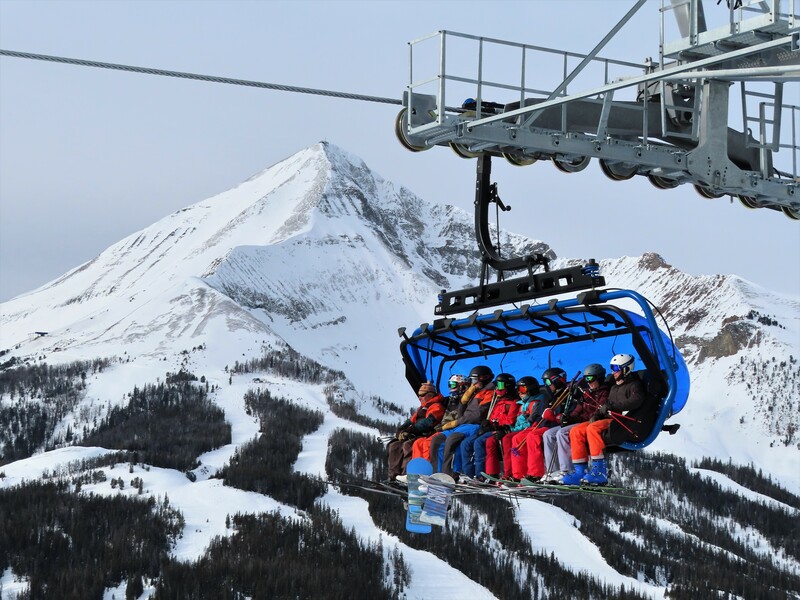 With new six and eight passenger lifts, Big Sky Resort shifts away from the double/triple/quad lift lingo. Alterra names KSL veteran Adam Knox Senior Vice President of Strategy and Corporate Development to lead the company’s acquisitions and resort partnership group. 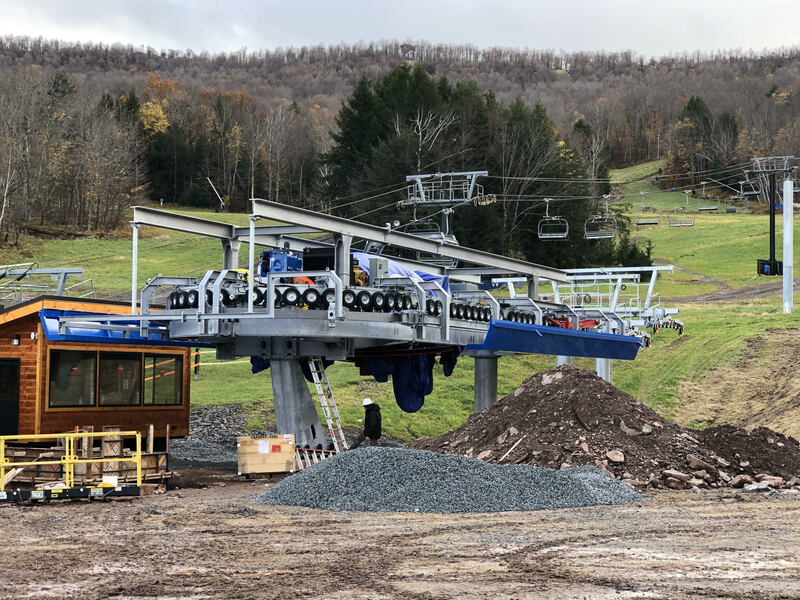 Due to the amount of lift work needed after seven shuttered years, Cockaigne, NY won’t reopen this winter after all. One of the longest Riblets retired from Snowmass turns up in the Pakistani town where Osama bin Laden was killed. 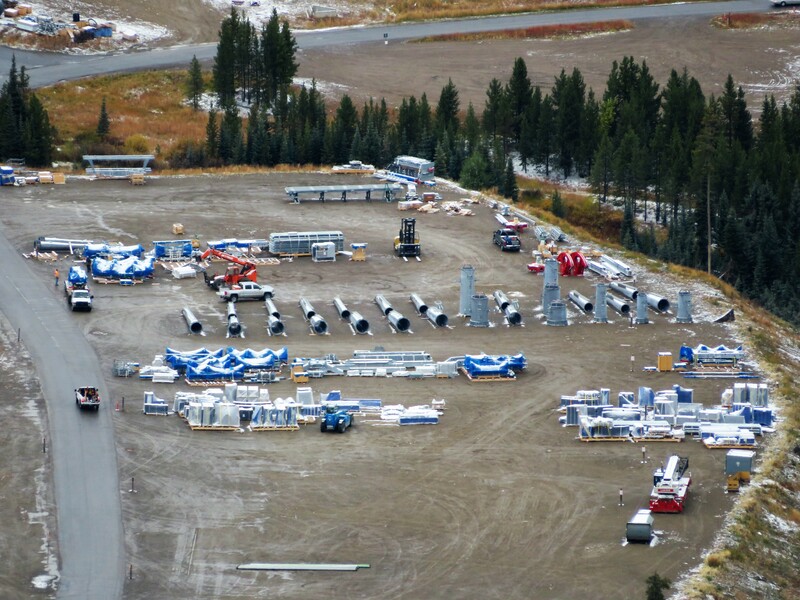 A freshly cut lift line is spotted in the Spanish Peaks development adjacent to Big Sky Resort, probably for the planned Highlands chair. The Berkshire Eagle looks at Catamount’s $5 million fall. A judge quashes spending for lift maintenance at the Hermitage Club, which remains in foreclosure. 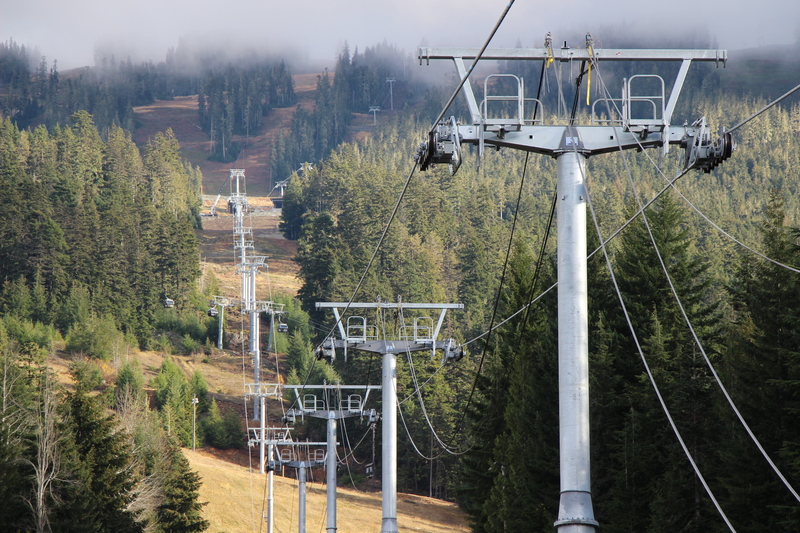 A new lawsuit against the ski area alleges breach of contract and consumer fraud. Another aerial tramway cabin crashes in Europe, this time on the one year old Bartholet jigback Staubernbahn. No one was hurt as the cabin that hit the ground was empty. The Boston Globe talks with Mainers about a fourth winter without Saddleback. In New Zealand, The Remarkables is set to build the inaugural D-Line in the southern hemisphere and Coronet Peak announces a Leitner Telemix. The new Bretton Woods trail map indicates the gondola may not be called Presidential Bahn after all. 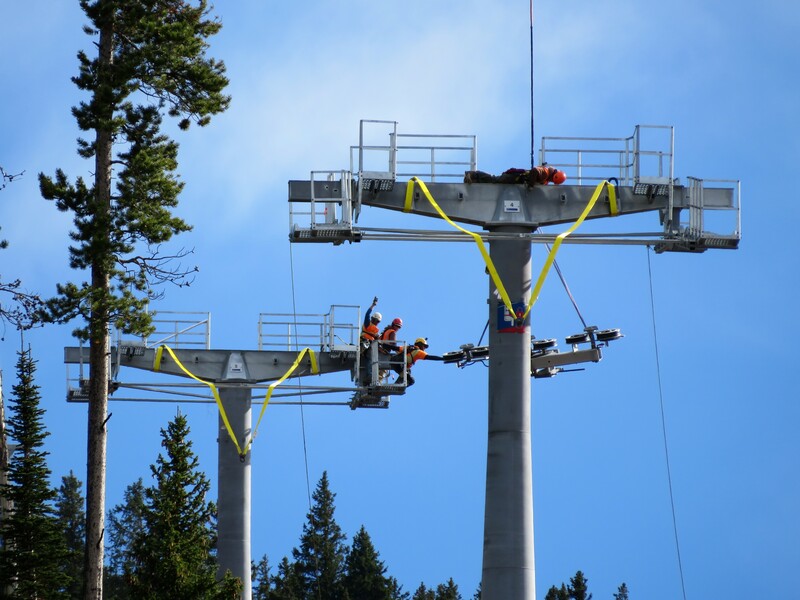 As Copper Mountain and Leitner-Poma crews work hard to finish two big lifts, opening weekend shifts to Super Bee. 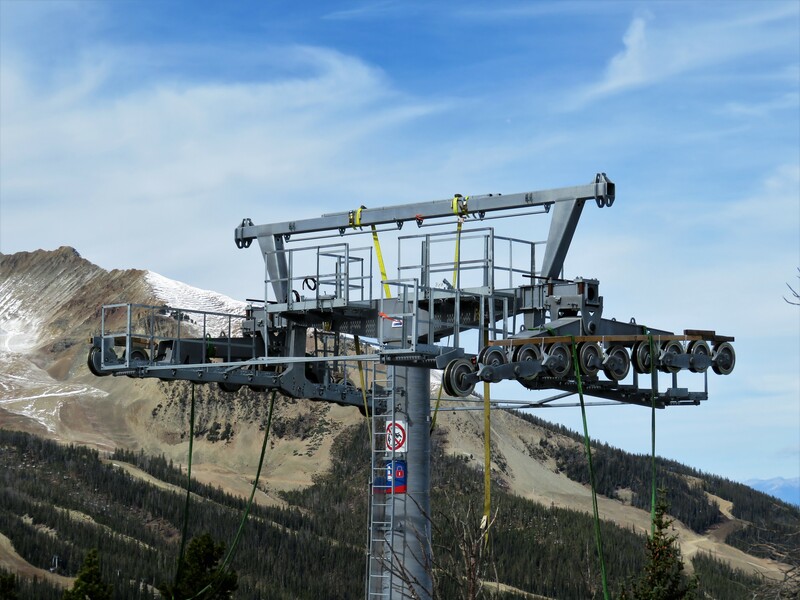 Ramcharger 8 at Big Sky Resort is both the first eight passenger chairlift and first Doppelmayr D-Line lift in North America. 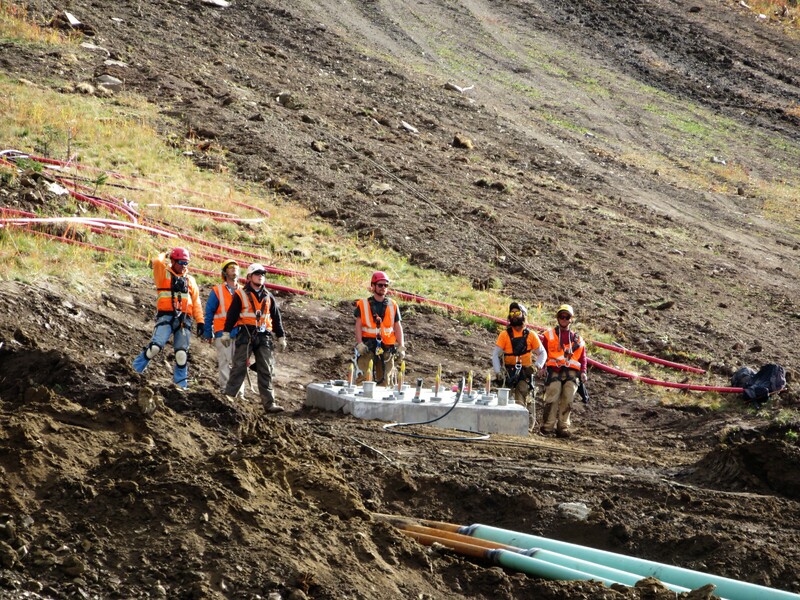 I headed to Montana yesterday for an update on this exciting project and a related one, the new Shedhorn 4. Touring Ramcharger, it became clear the decision to purchase this lift was not just about the eight passenger chairs, heated seats or loading carpet. 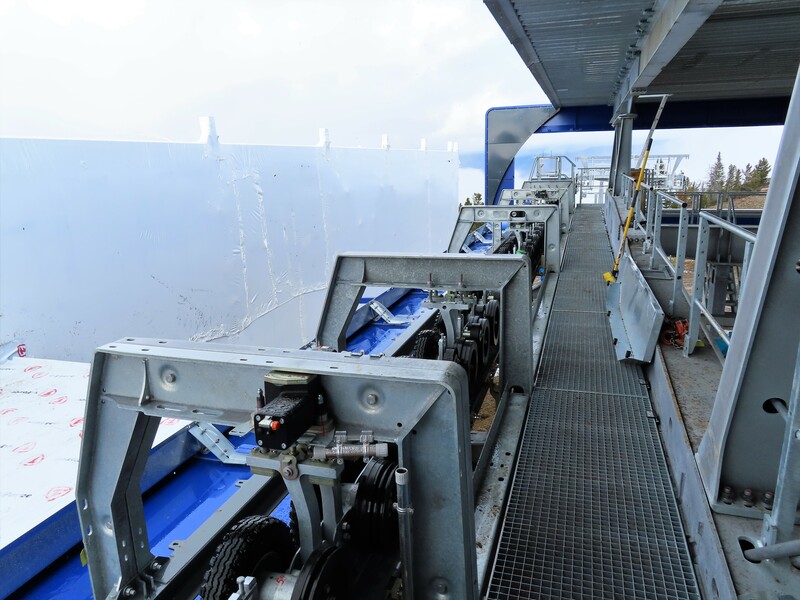 D-Line has numerous small innovations made with mechanics and operators in mind that combine to create a new generation of Doppelmayr detachable. A few features I noticed: Every grate and cover is designed to easily open and close for quick access to moving parts. Belts that connect station tires each have individual tensioners. Stairs lead into the terminals rather than ladders. Many spots where metal meets metal are lined with rubber for noise and vibration dampening. 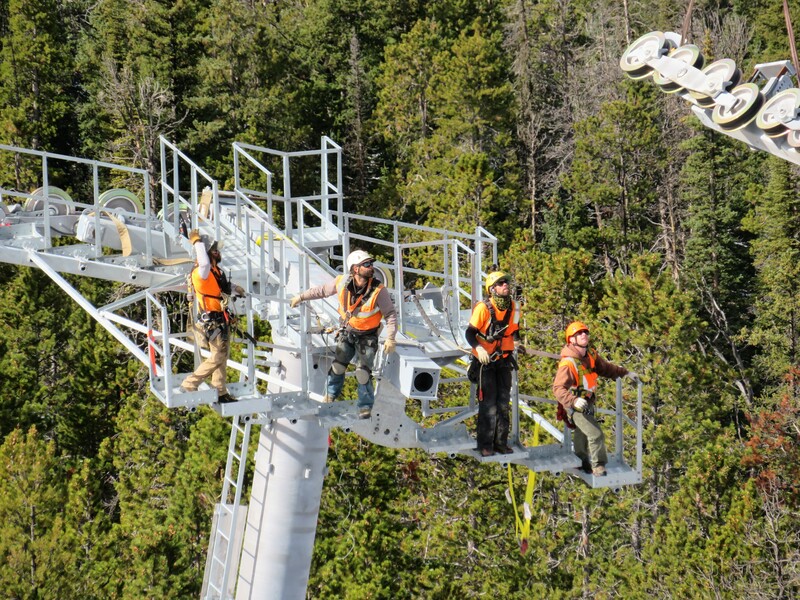 Doppelmayr says D-Line has more than 200 improvements overall. 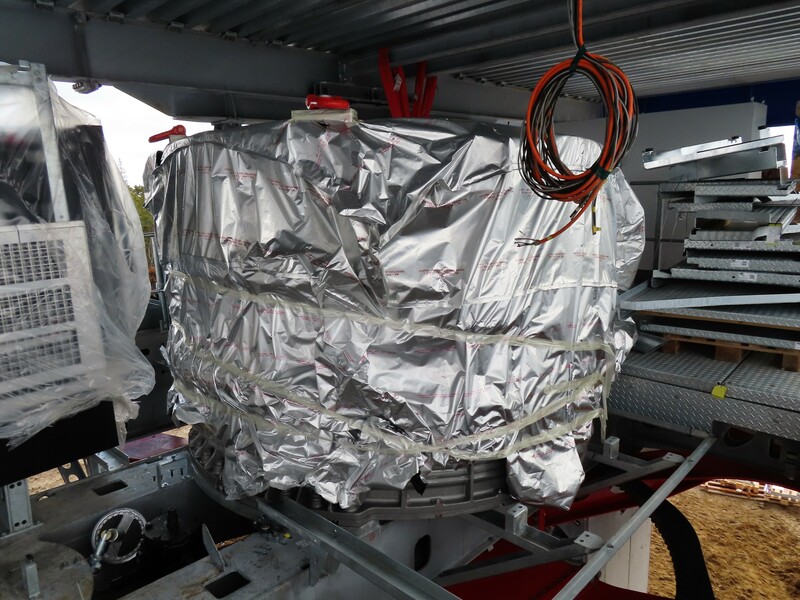 The massive Doppelmayr Direct Drive motor is in place at the top terminal and will be water cooled. It will quietly and efficiently spin at just 13 revolutions per minute. Because a gearbox and related shafts have been removed from the equation, all braking will be directly on the bullwheel. There is a single diesel evacuation drive rather than separate evacuation and standby engines. 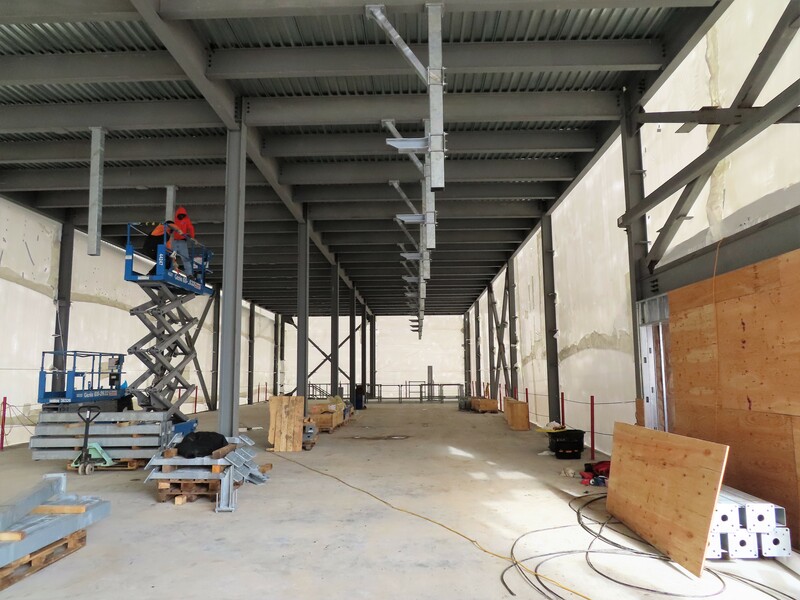 The west side of the top terminal features a 7,500 square foot parking facility for the chairs in two rows. Part of the floor opens up to an equally-sized basement where bike carriers can be hoisted onto chair hangers come summer. 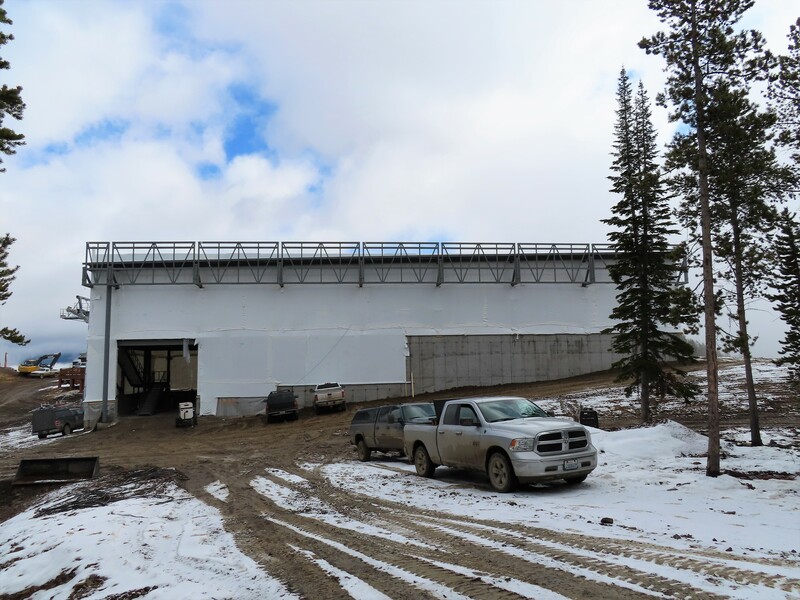 The outside of the barn is being wrapped in plastic for this winter and will be completed next spring. 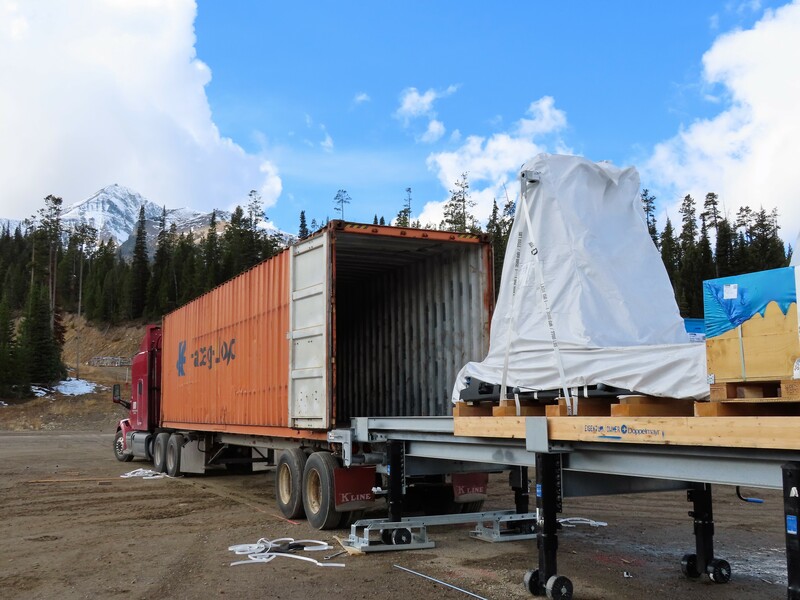 The first four chairs and hangers arrived during my visit at the end of a long journey from Austria by ship, train and truck (the entire lift came over in containers, not just the chairs.) The 64 carriers are emblazoned with Ramcharger 8 logos, feature heated seats and sport blue bubbles. They are so large that only four fit in each shipping container! 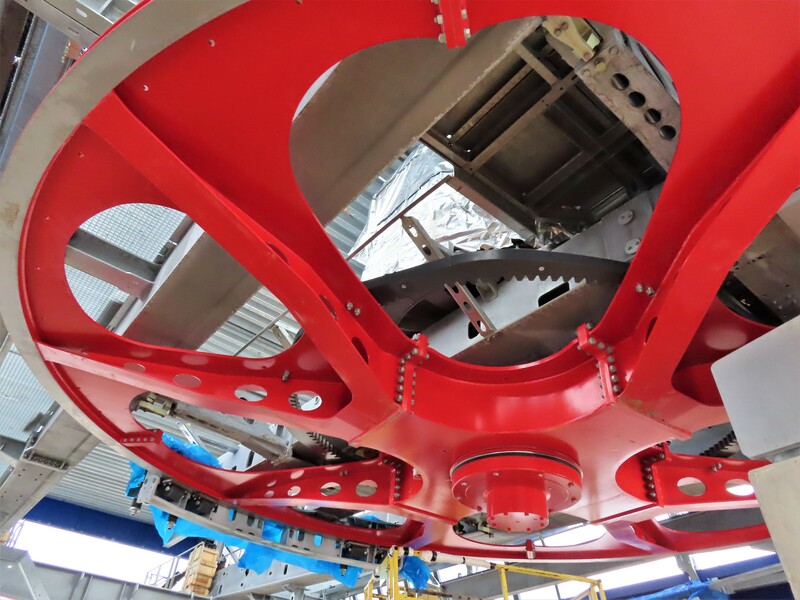 Steel will be set at the bottom tension station over the next 7-10 days, which we will be able to watch live. This terminal’s legs, loading conveyor and gates are already in place. Operators will be able to raise and lower the deck on demand for children to board and capacity will be 3,200 people per hour to start. 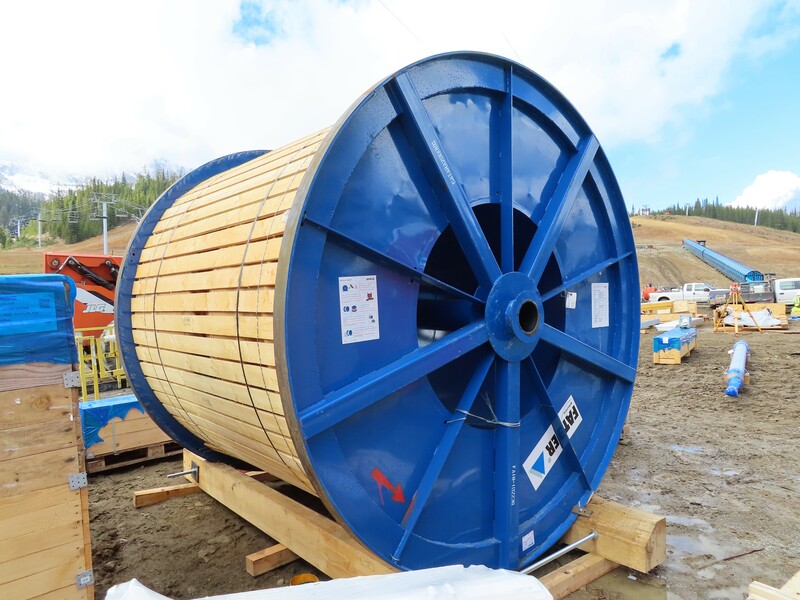 The 54 mm haul rope is also on site after its trip from Fatzer in Switzerland. The comm line for this lift is completely underground as is apparently common in Europe. The above $52 million masterpiece and highest-ever 3S opens for business in the shadow of the Matterhorn. The Leitner-Poma Group’s sixth tricable gondola is set to carry commuters between three stations in Toulouse, France from 2020 and will cost $94.5 million to build. Alterra closes on its purchase of Crystal Mountain. 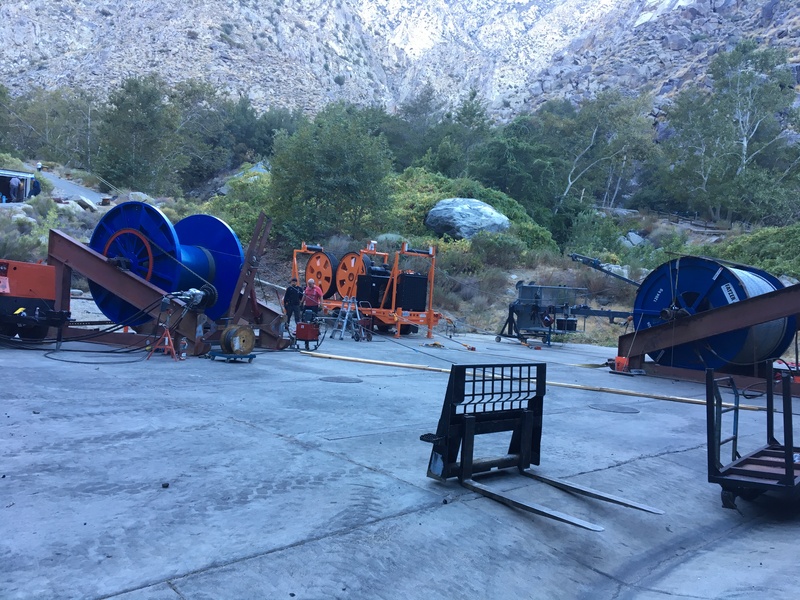 A lift operator and his employer, Killingon/Pico, are sued following a loading mishap. An eighth urban gondola line opens in La Paz and carries 72,740 riders on its first day. CWA teases Omega V, the next evolution of the world’s best selling gondola cabin. While we wait to see what it looks like, check out hundreds of CWA designs from the past 75 years. 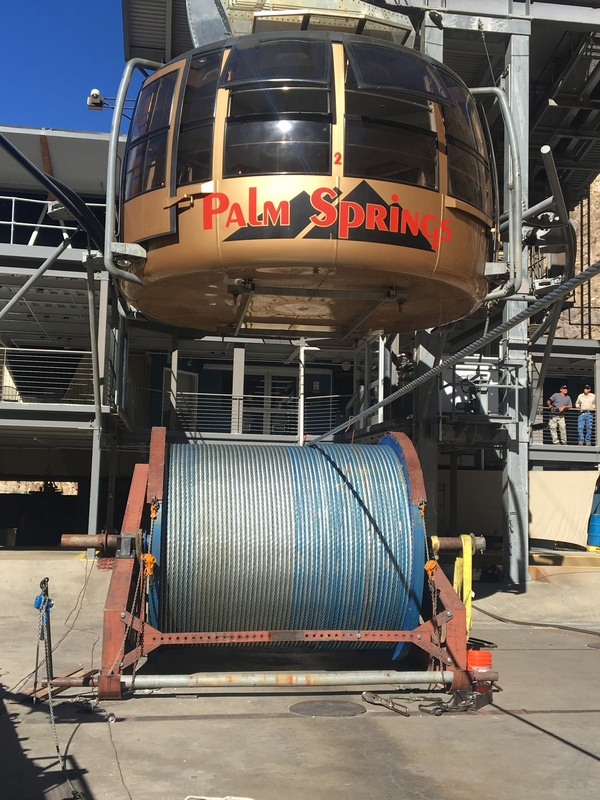 The Palm Springs Tram gets a new 13,500′ x 45 mm upper haul rope from Fatzer. Thanks Kirk D. for the photos. 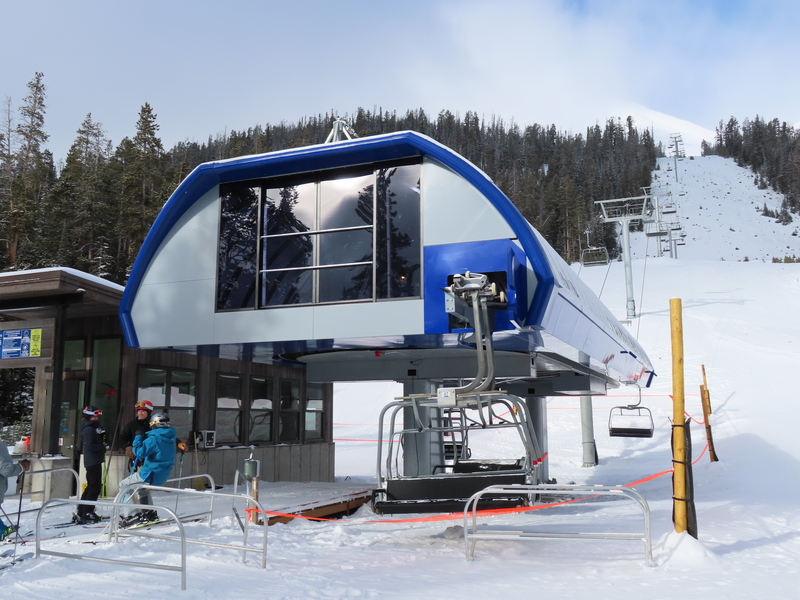 Horseshoe Resort’s retired 1989 Doppelmayr detachable quad hits the used market. Whistler Blackcomb’s 2018-19 trail map shows what $52 million worth of new lifts looks like. 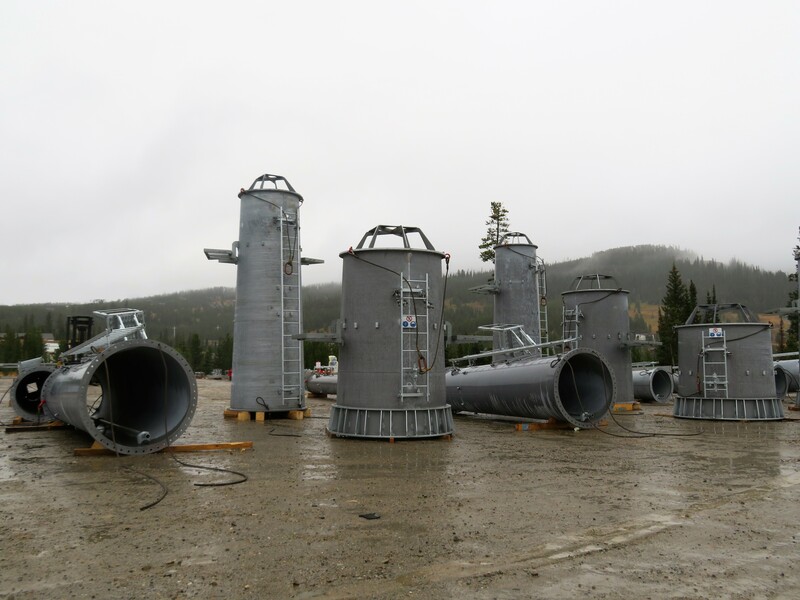 Read up on Sun Peaks’ new Orient quad here. 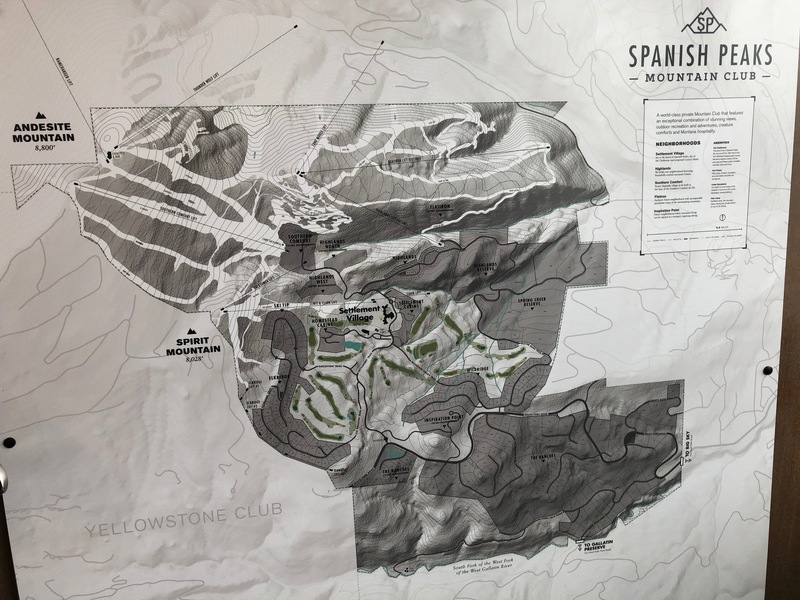 Lone Mountain Land Company eyes two more lifts on the Spanish Peaks side of Big Sky Resort and nine in Moonlight Basin. 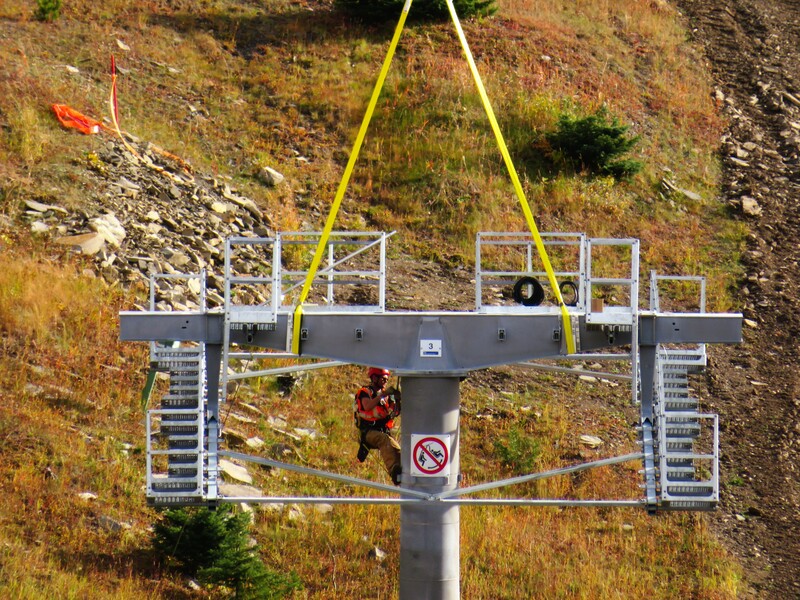 Revelstoke’s newspaper looks into rumors of a gondola project on Mt. Begbie. The City of Los Angeles will study two Hollywood gondola ideas. Another Disney Skyliner station is nearly finished with tons of windows. Windham names its new lift Westside Six. I stopped by last week to check out the progress. 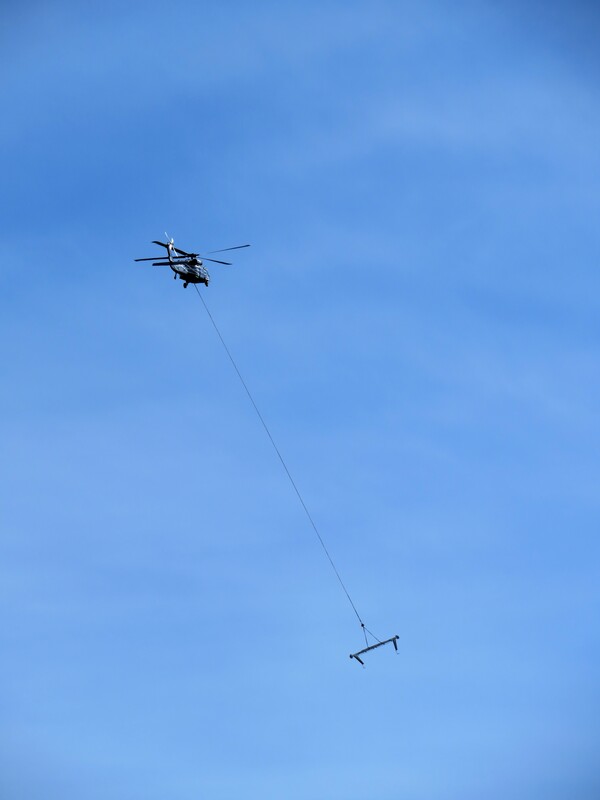 The most state-of-the-art chairlift in the world went vertical today under wispy Montana skies. 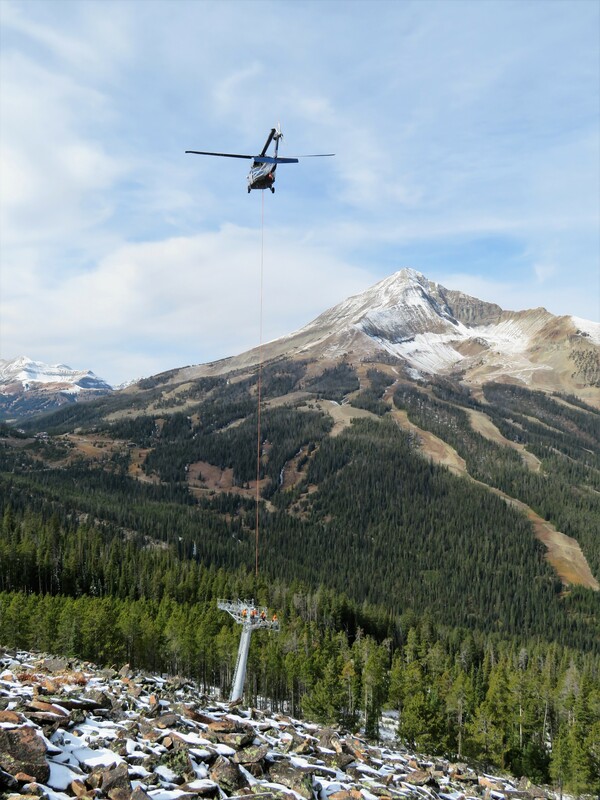 Teams from Doppelmayr, Big Sky Resort and Timberline Helicopters flawlessly executed 71 trips to hundreds of thousands of pounds of steel to Andesite Mountain in under six and a half hours. Thanks to good weather and an even better crew, that’s an average of one pick every 5.5 minutes, including refueling. As fly days go, it was amazing to watch Ramcharger 8 take shape.